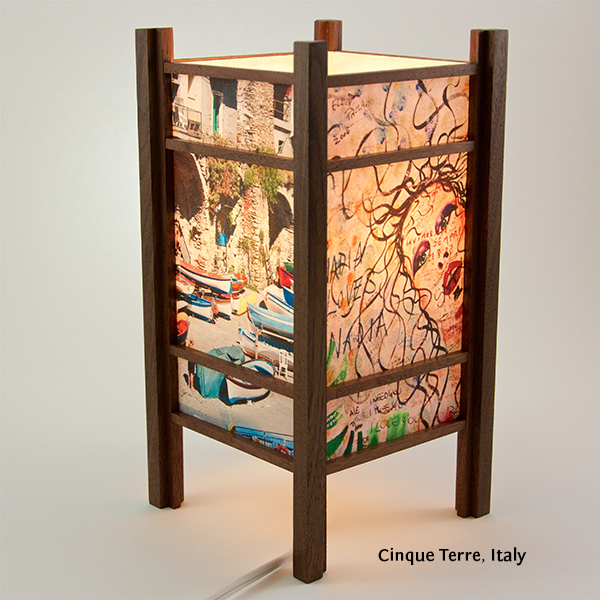 Low wattage, lantern-like table lamps provide soothing ambient lighting suitable for any décor. 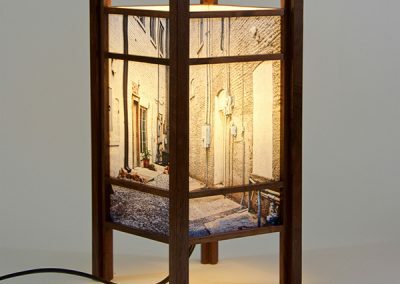 Lamps are beautiful during the day and at night the low-wattage bulb illuminates the image, displaying unexpected depth. 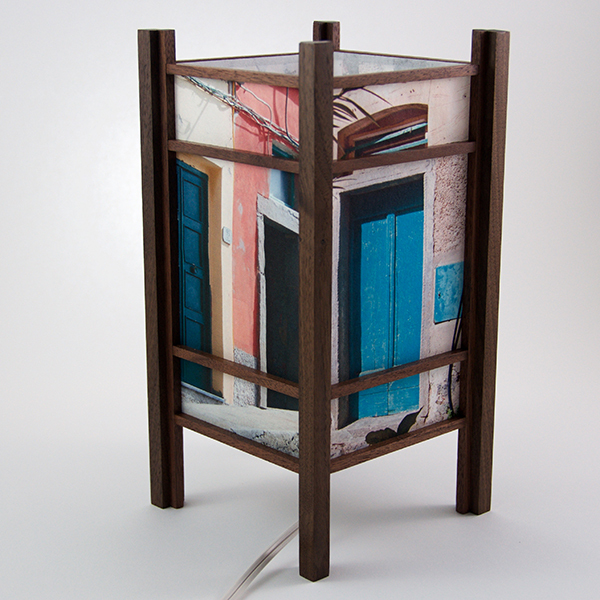 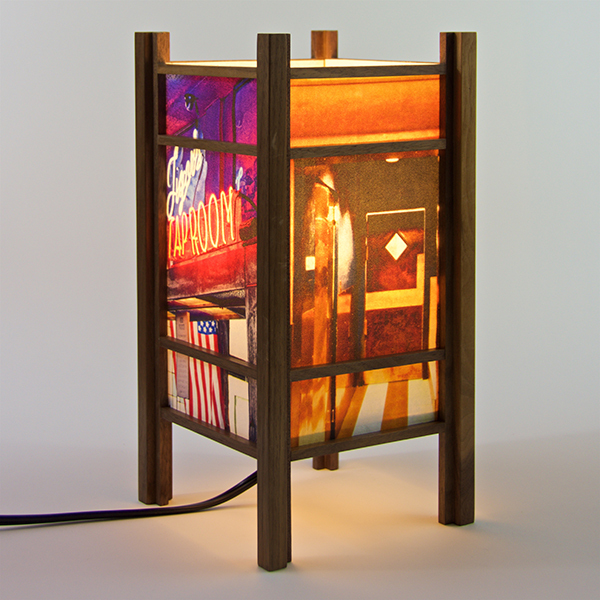 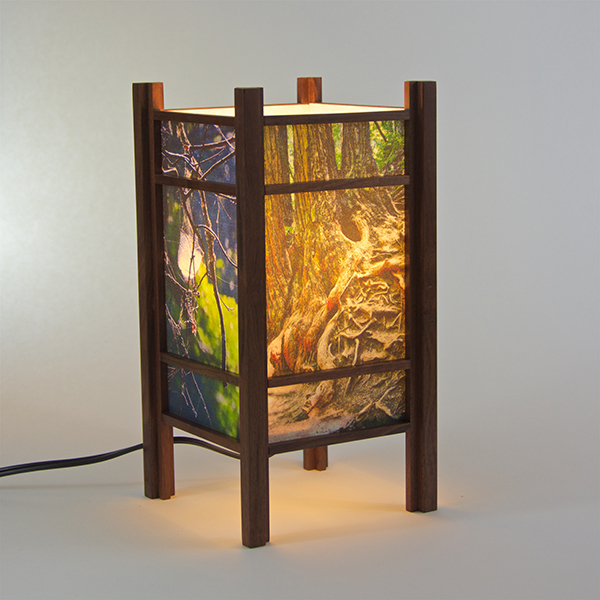 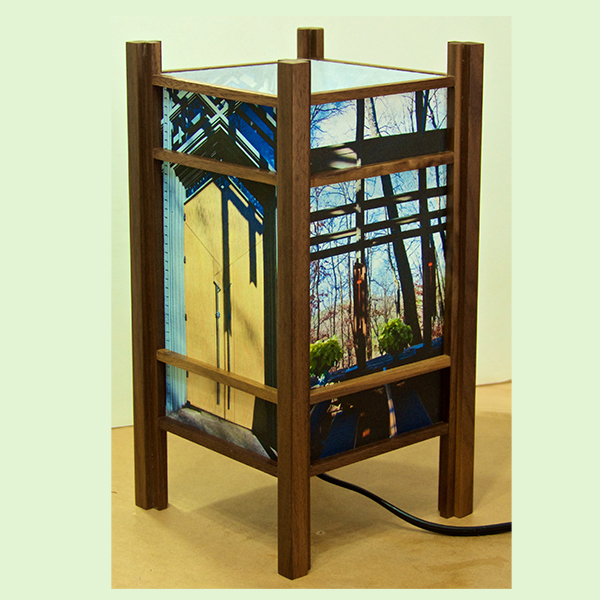 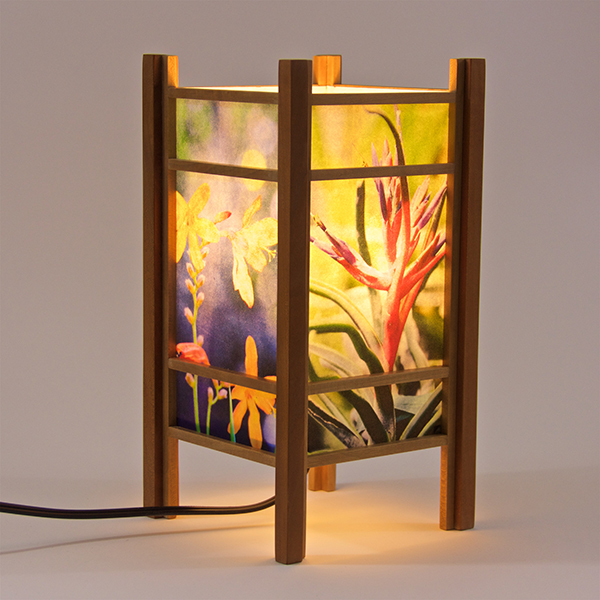 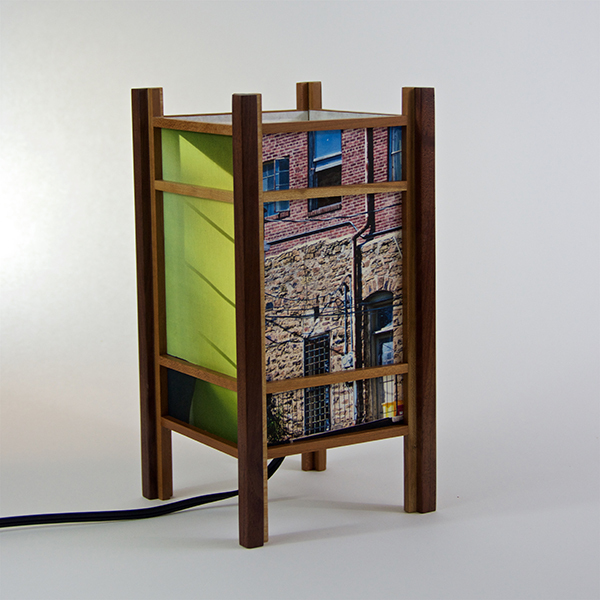 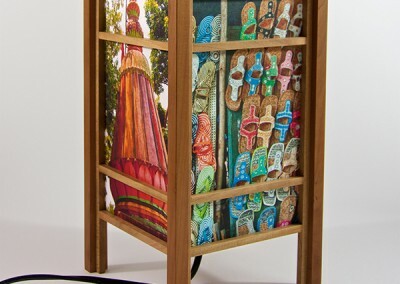 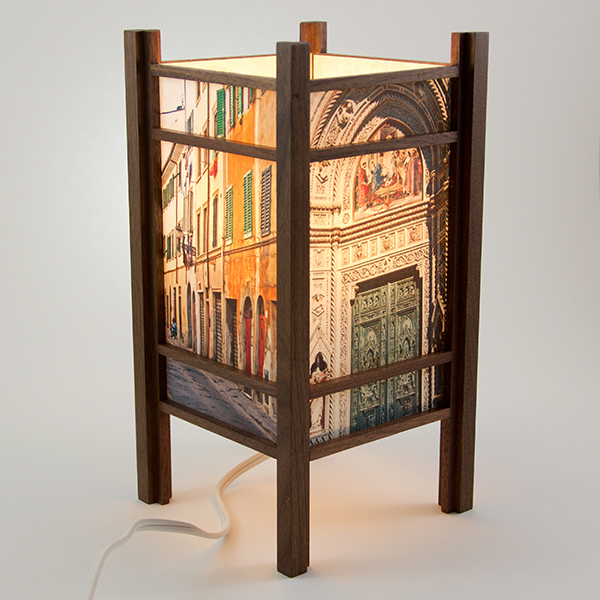 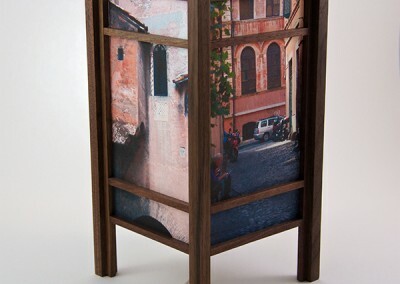 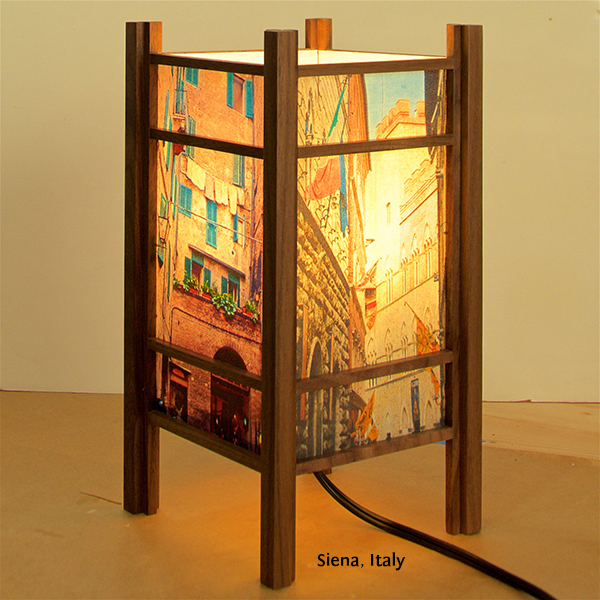 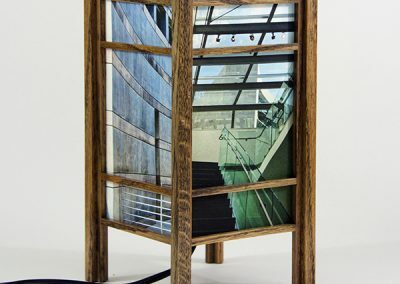 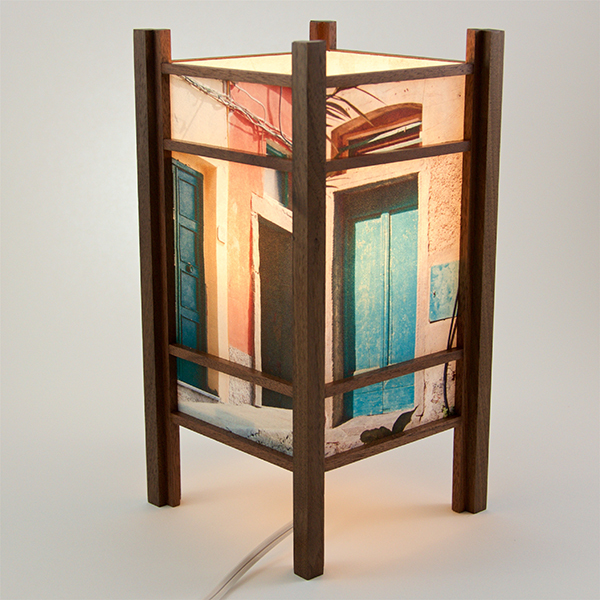 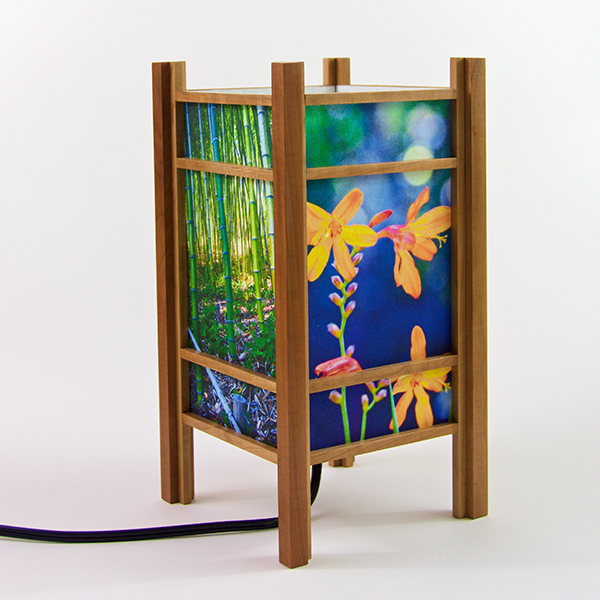 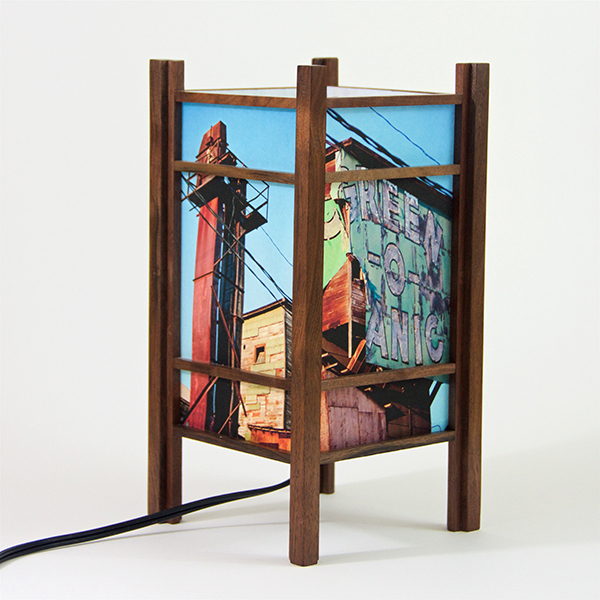 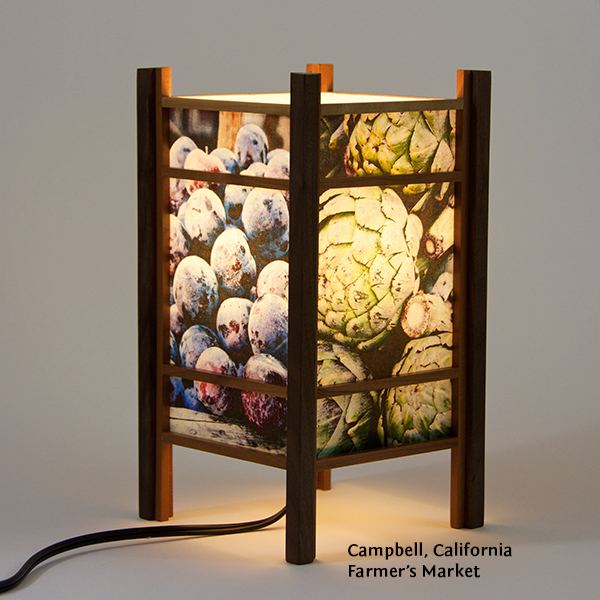 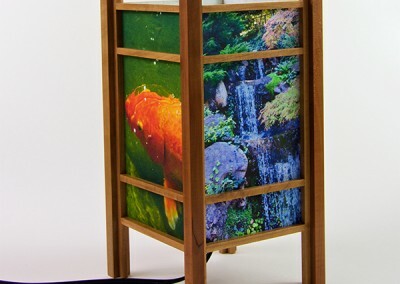 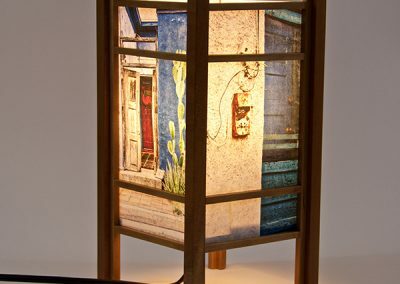 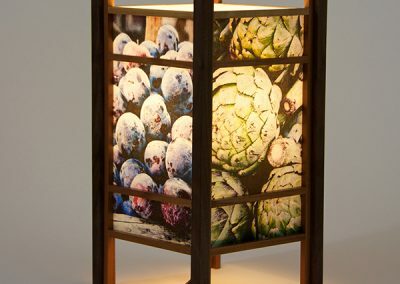 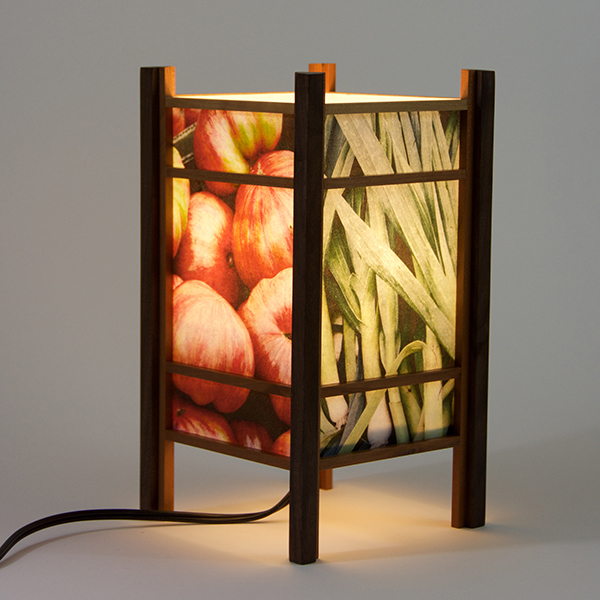 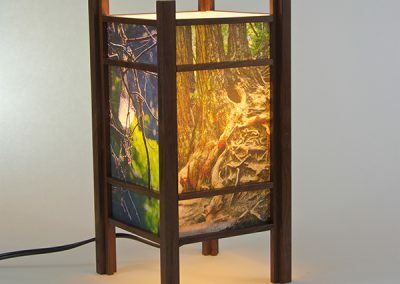 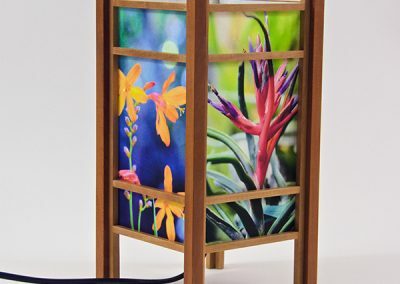 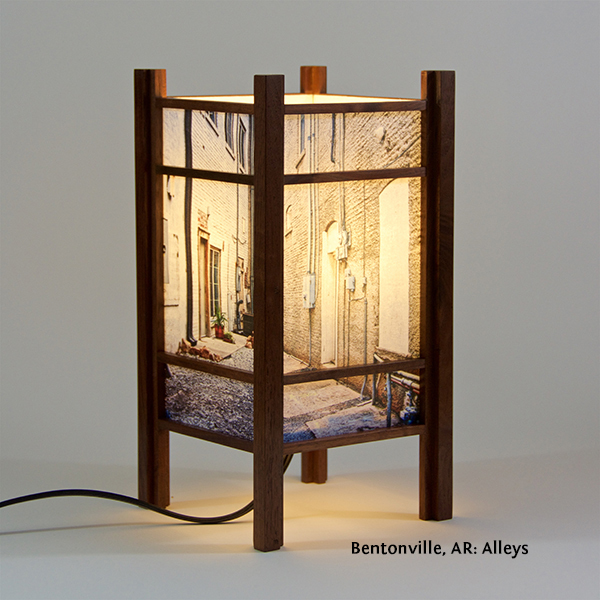 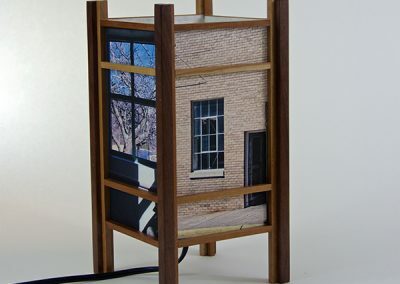 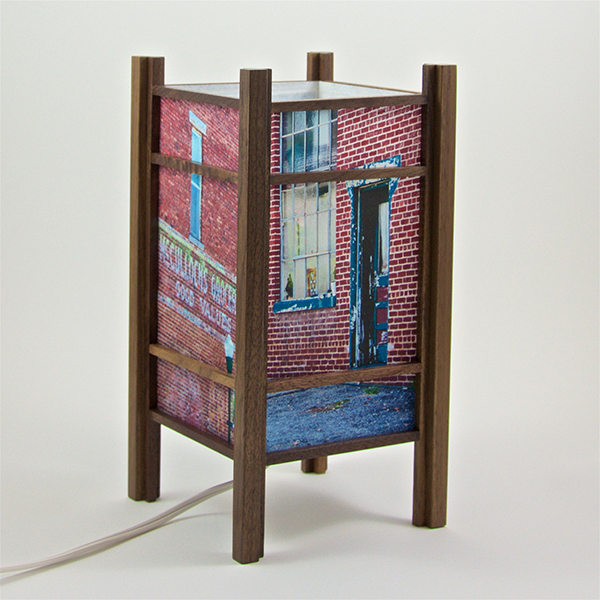 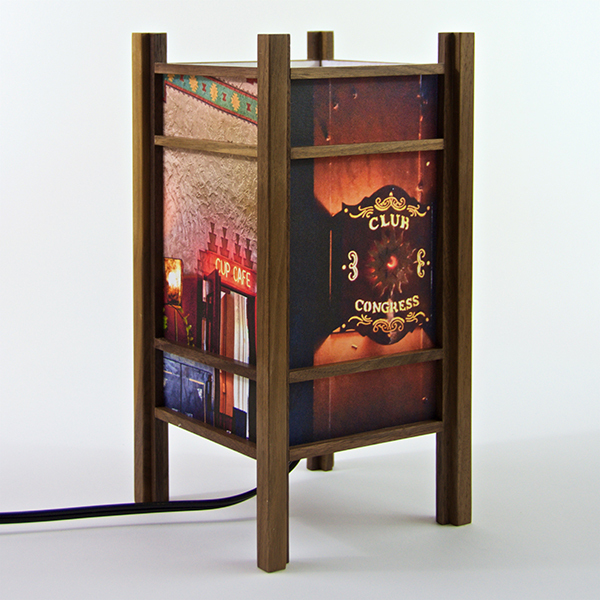 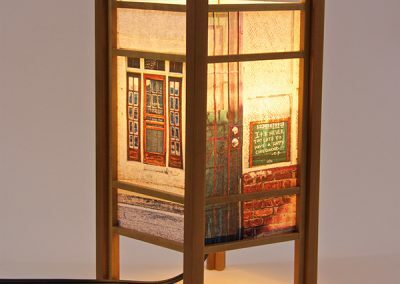 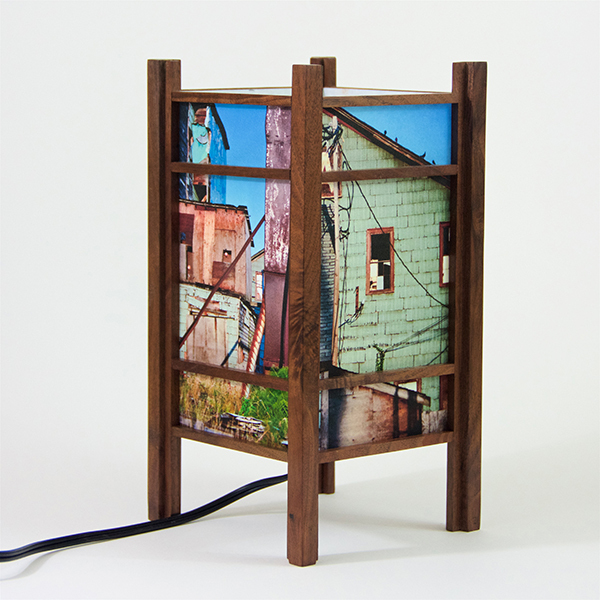 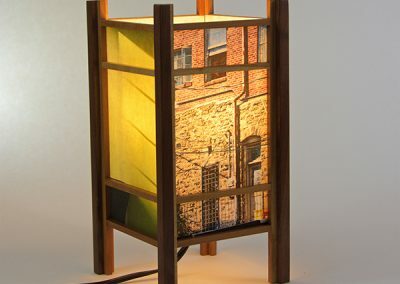 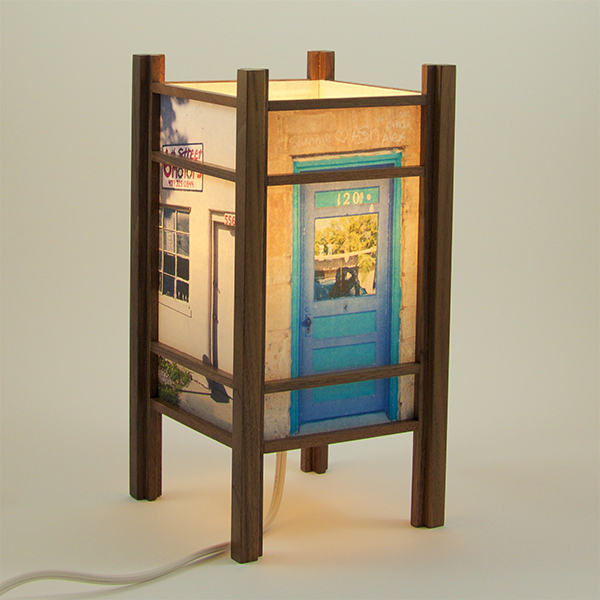 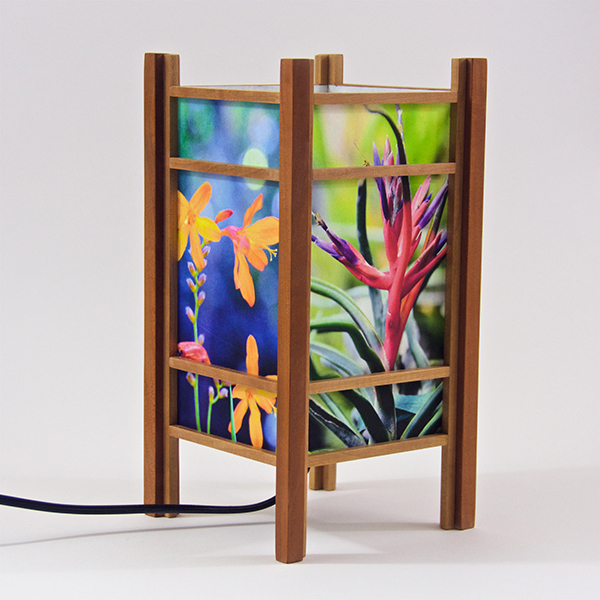 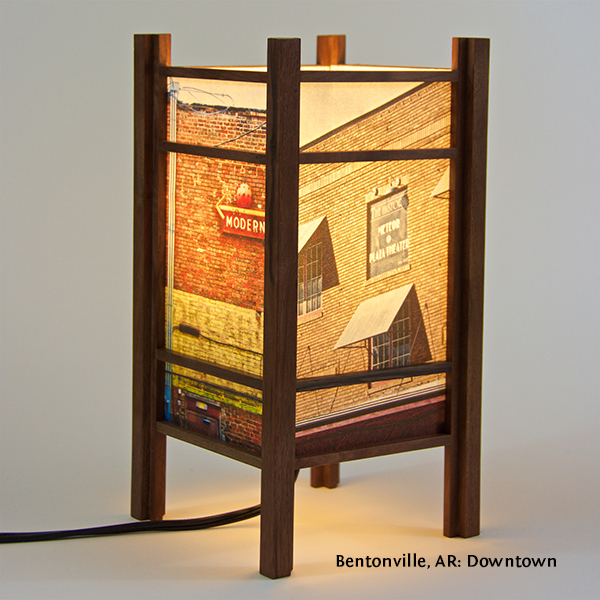 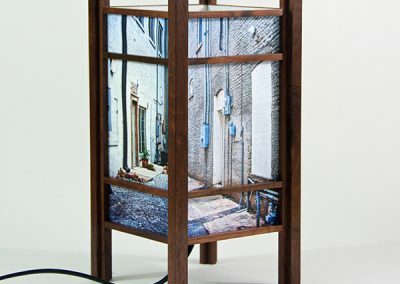 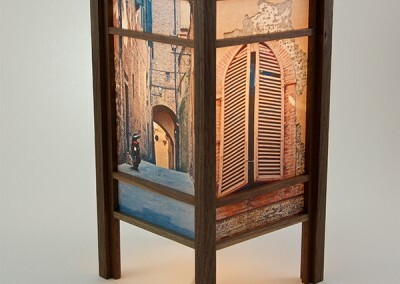 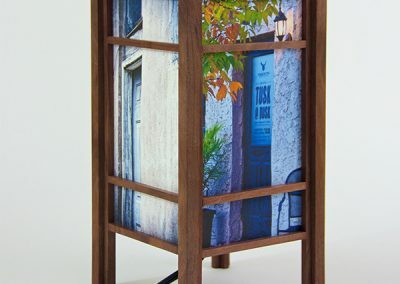 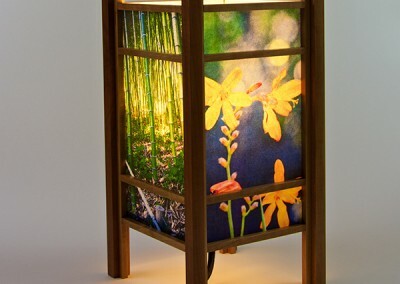 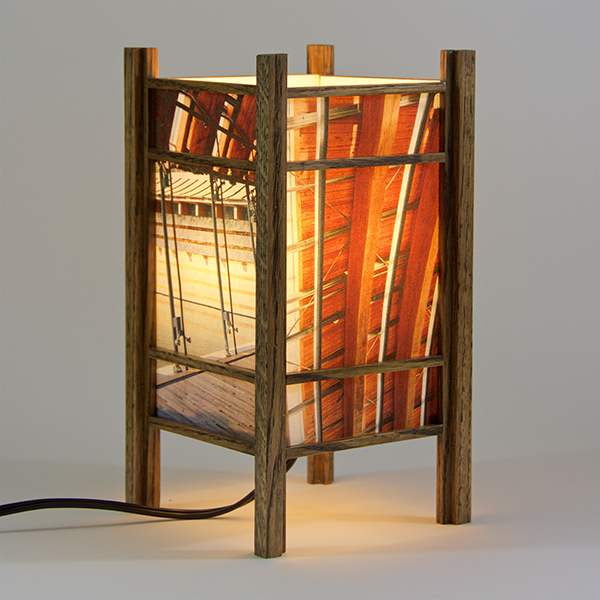 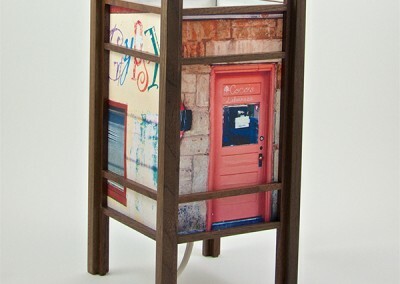 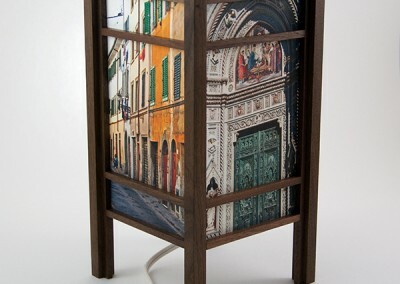 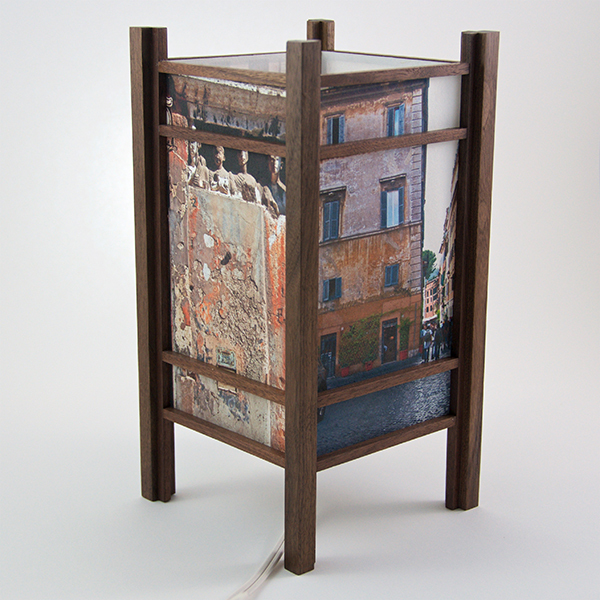 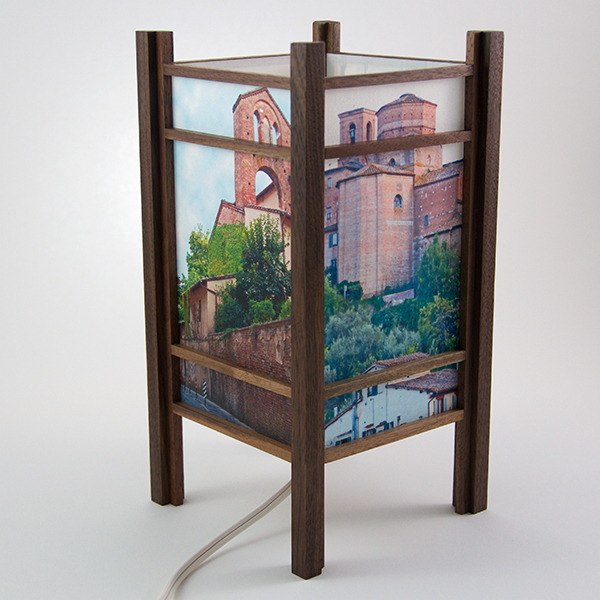 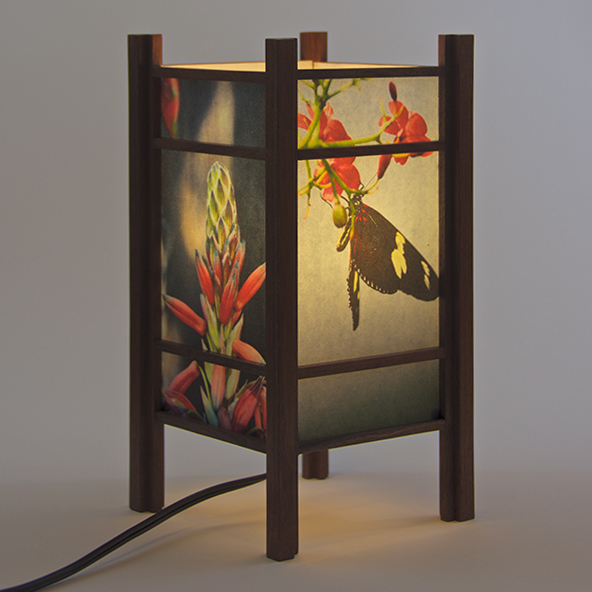 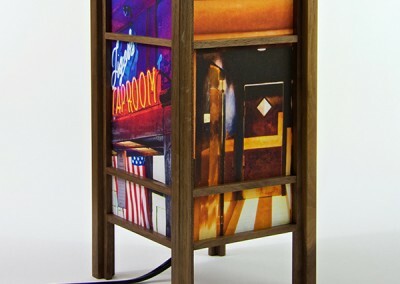 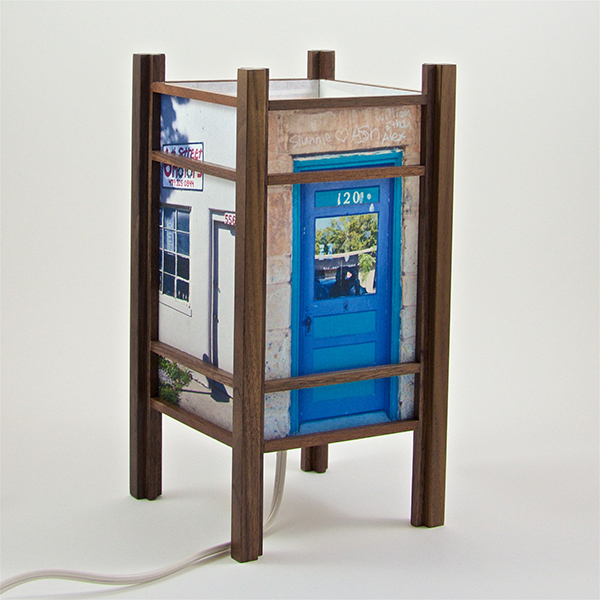 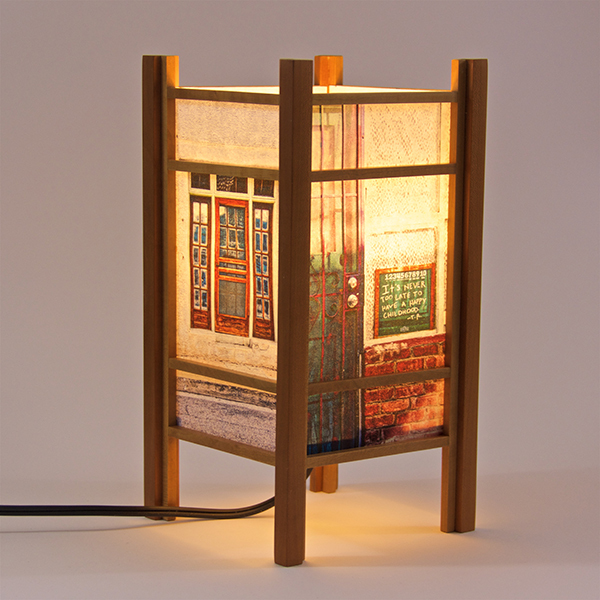 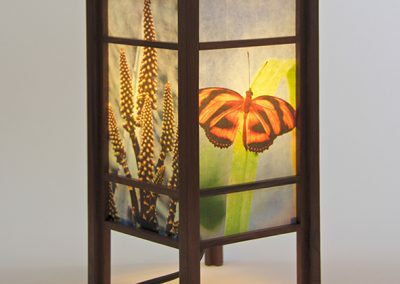 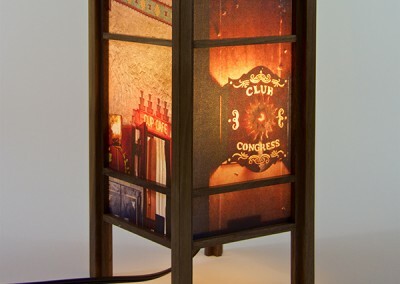 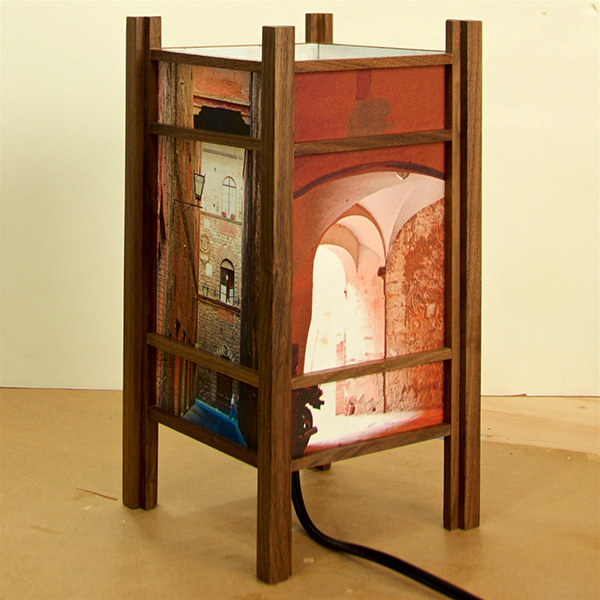 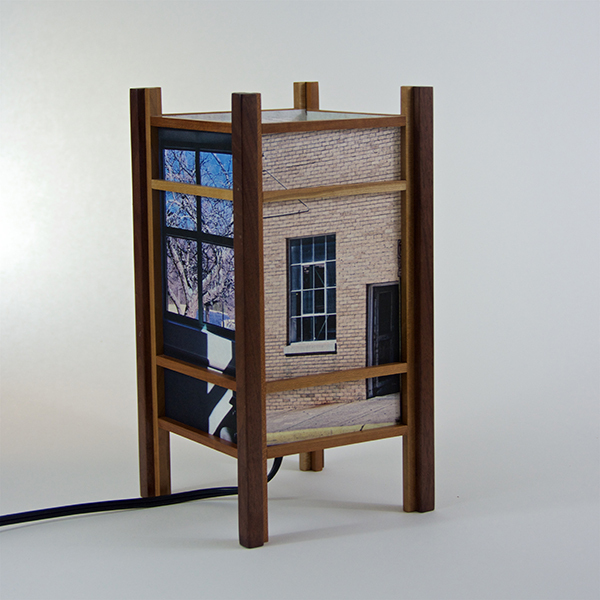 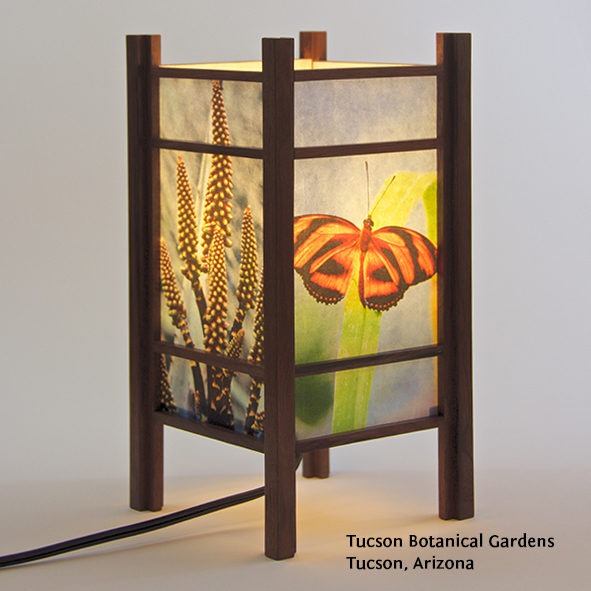 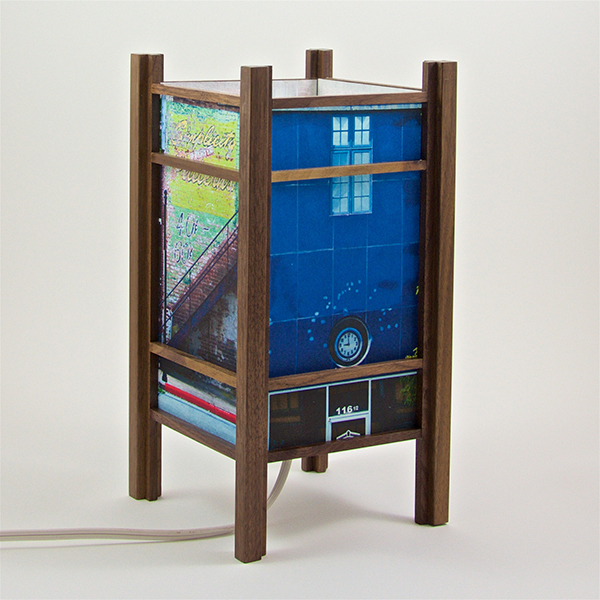 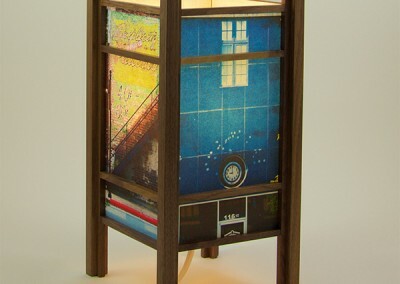 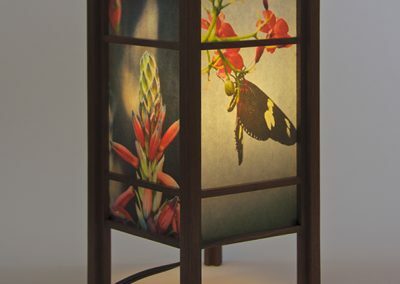 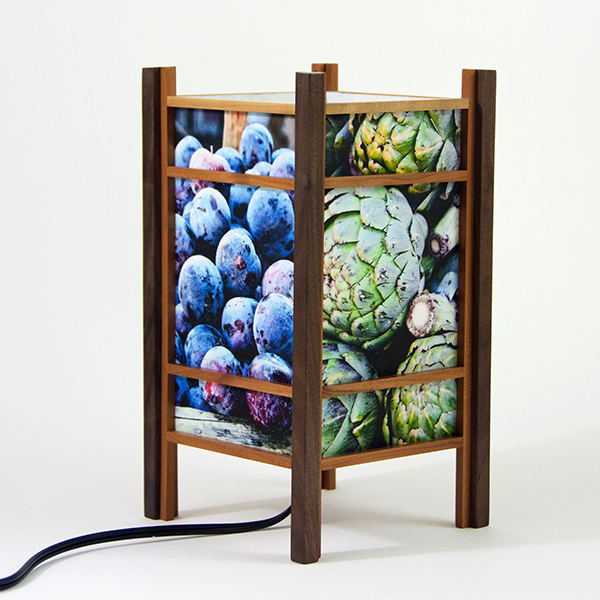 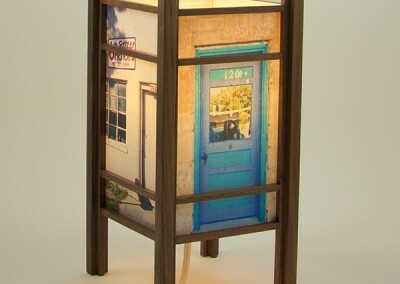 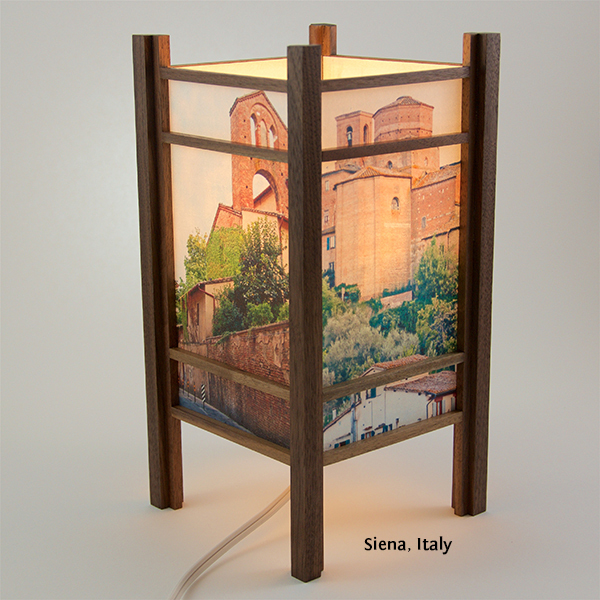 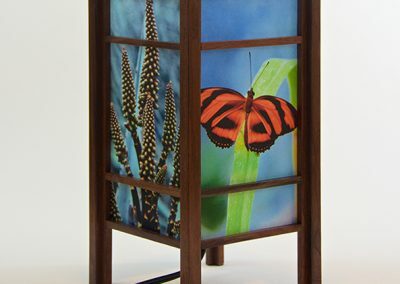 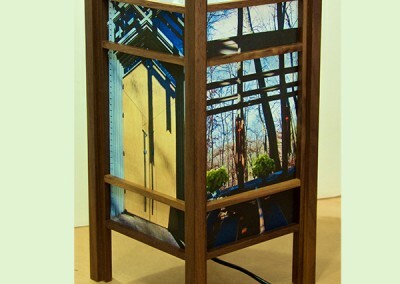 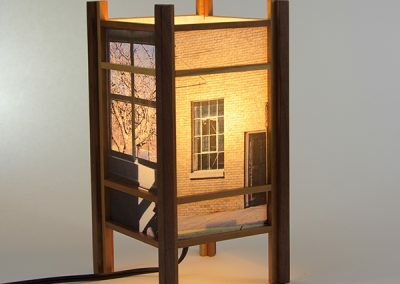 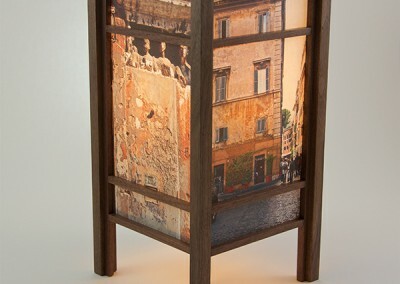 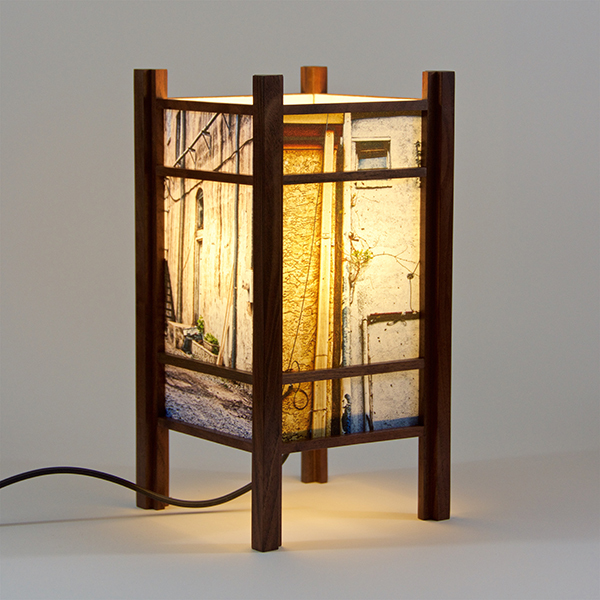 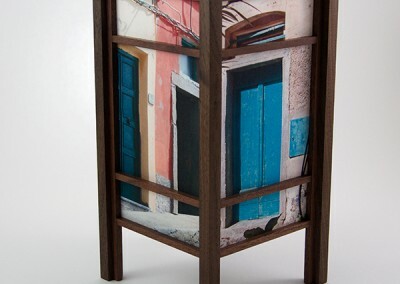 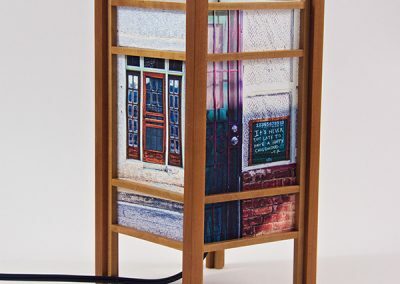 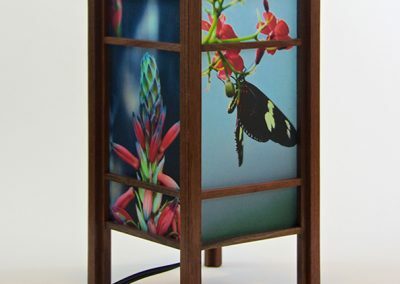 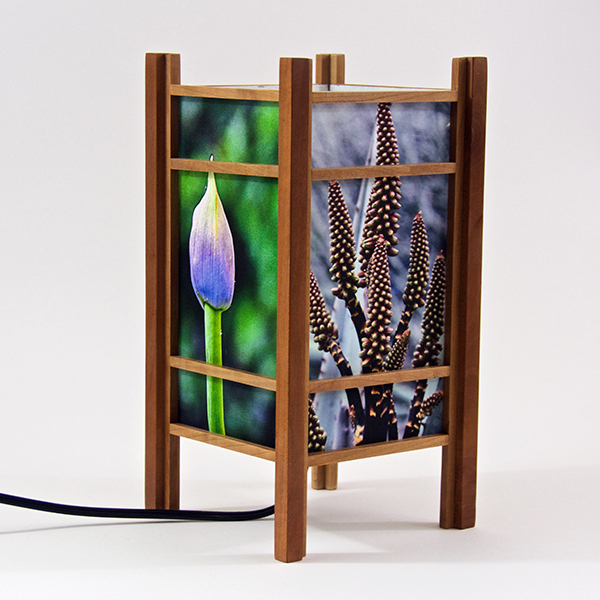 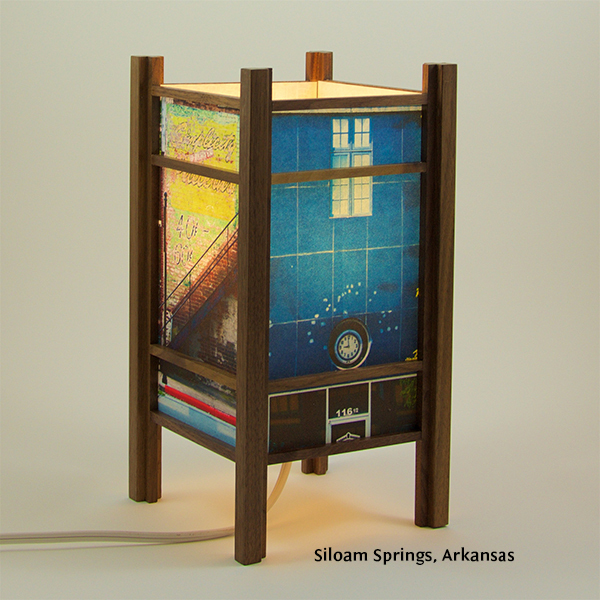 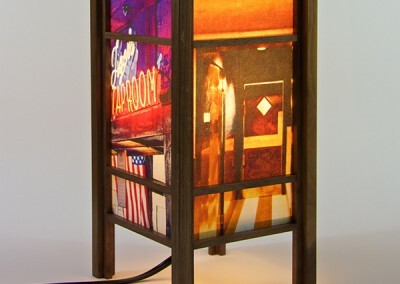 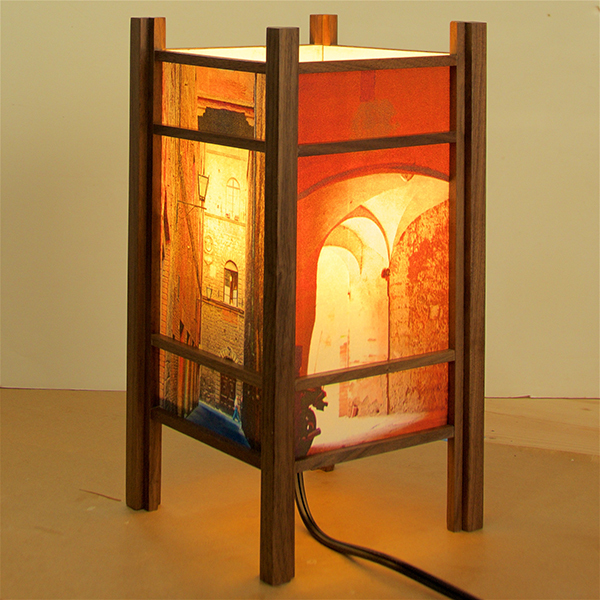 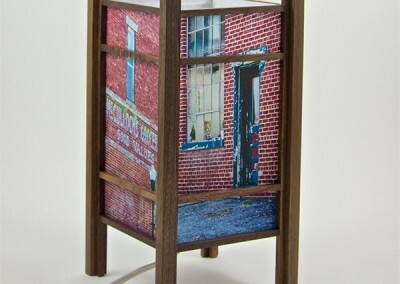 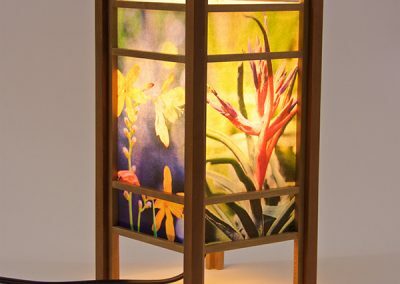 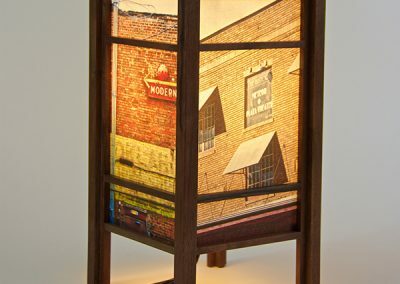 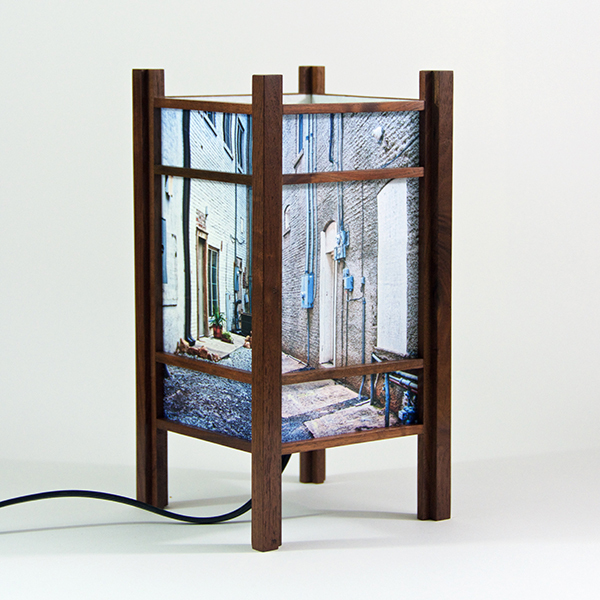 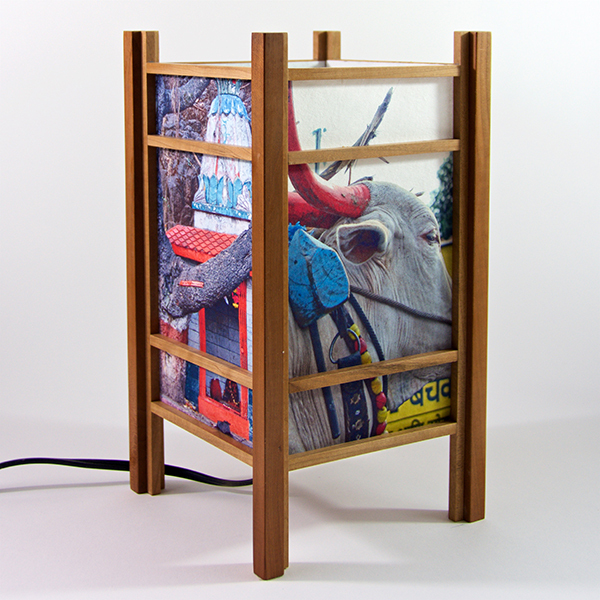 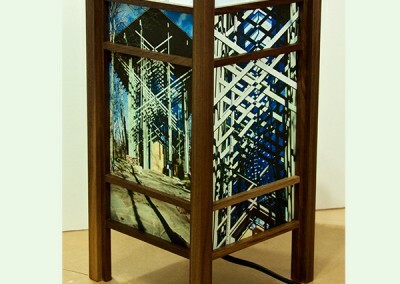 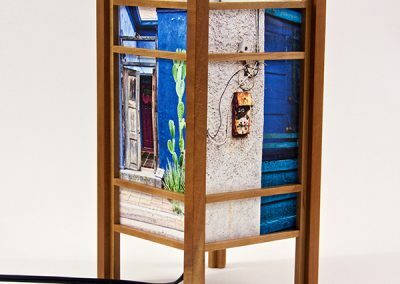 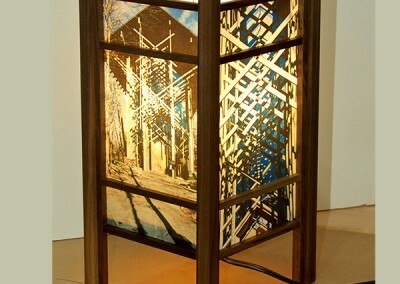 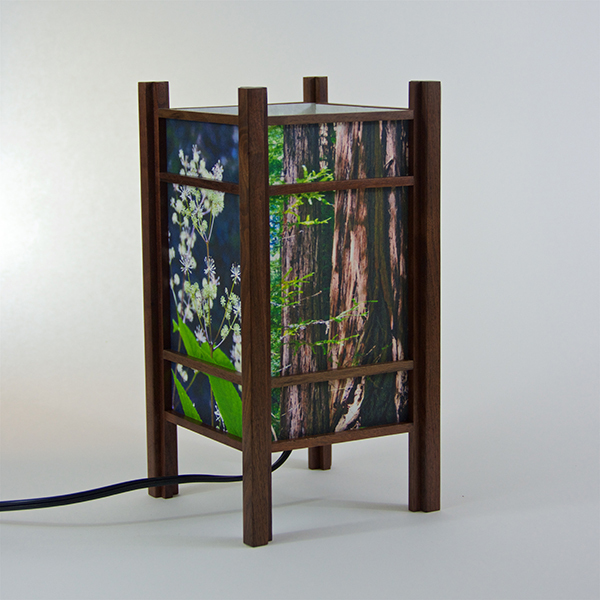 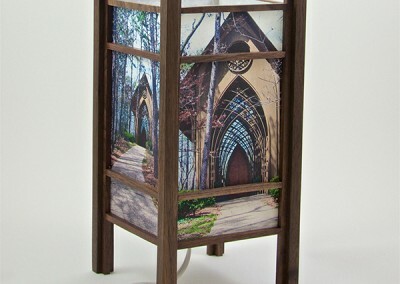 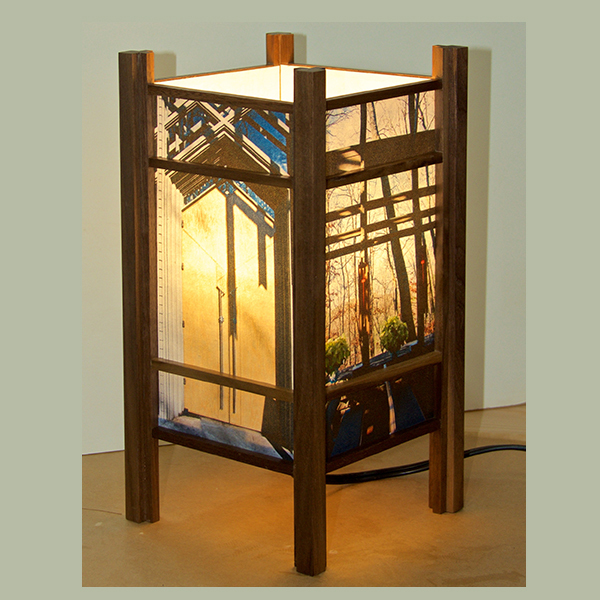 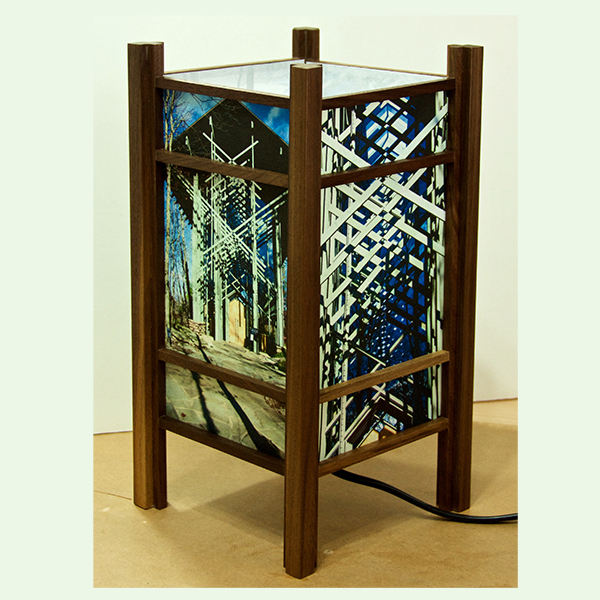 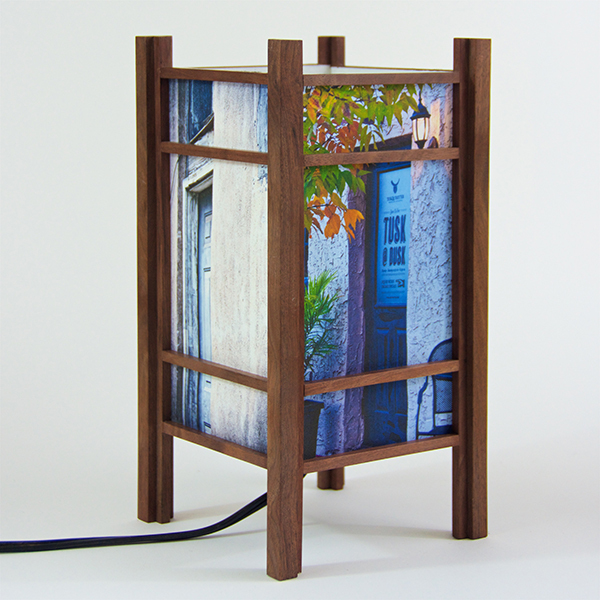 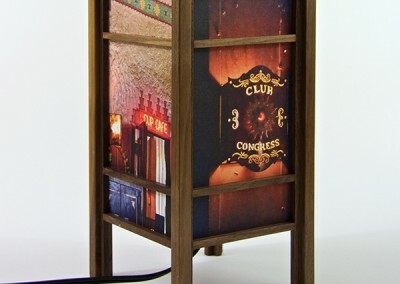 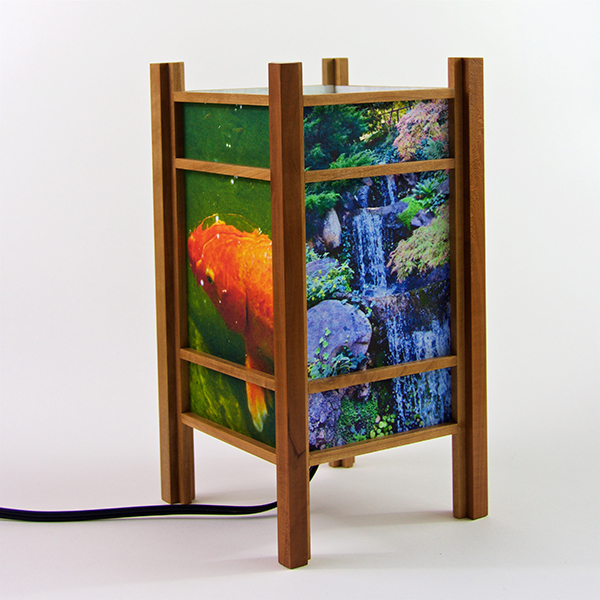 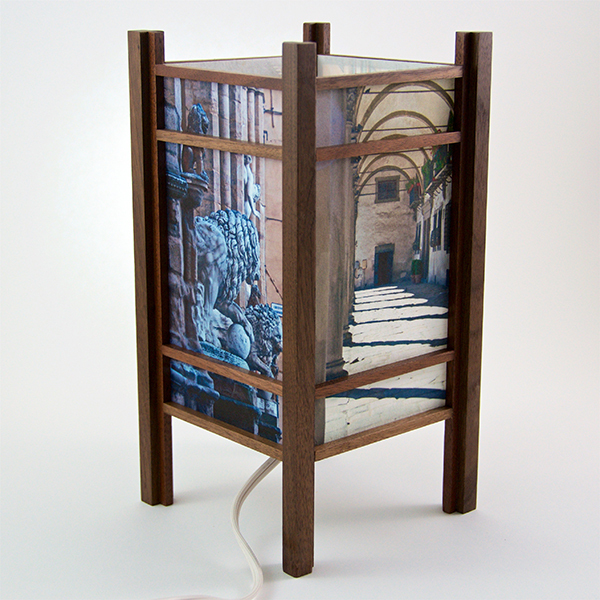 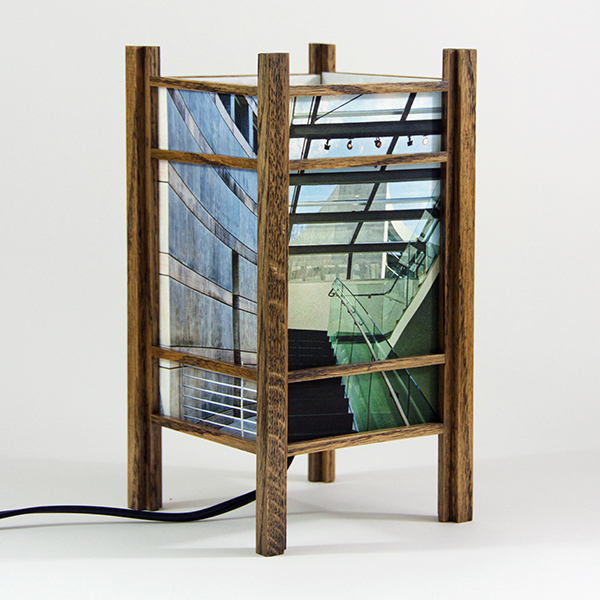 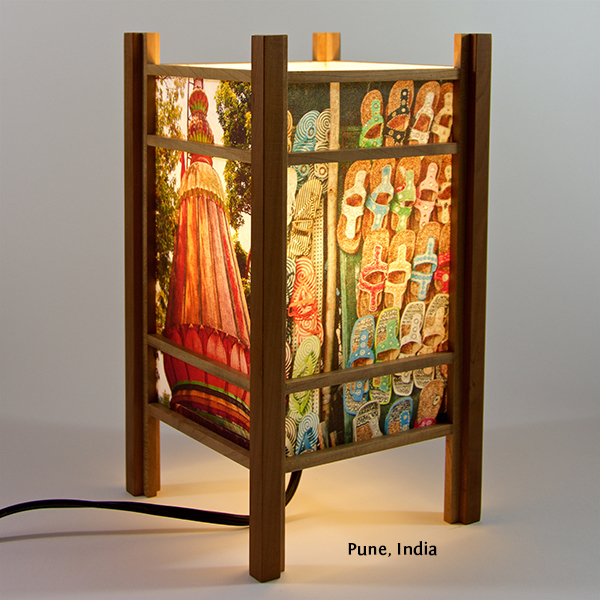 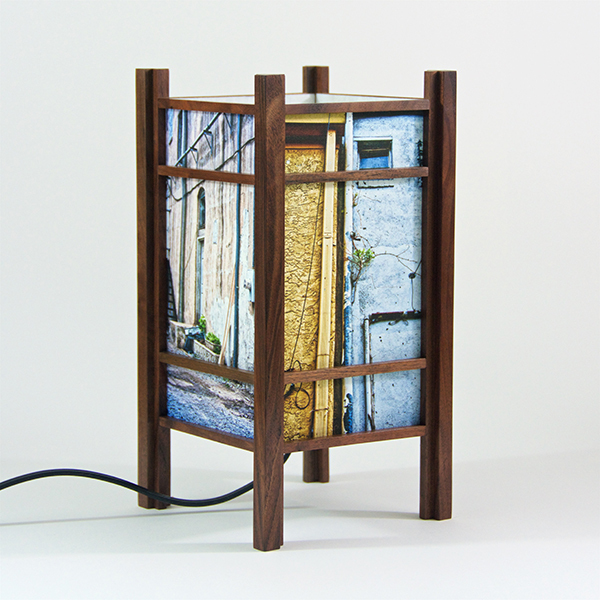 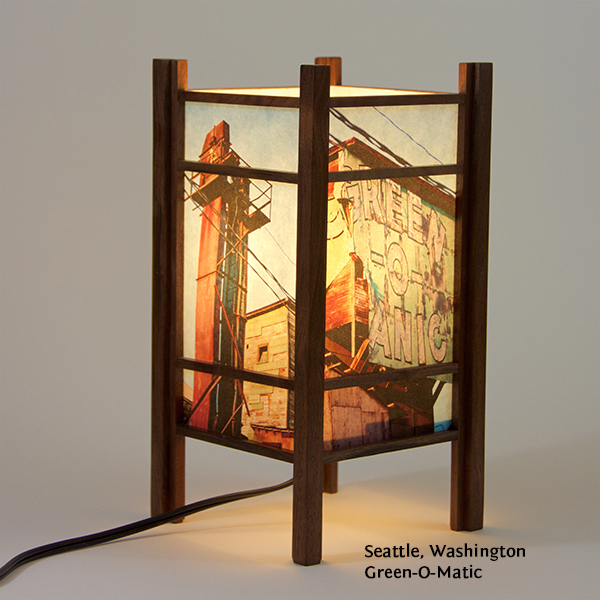 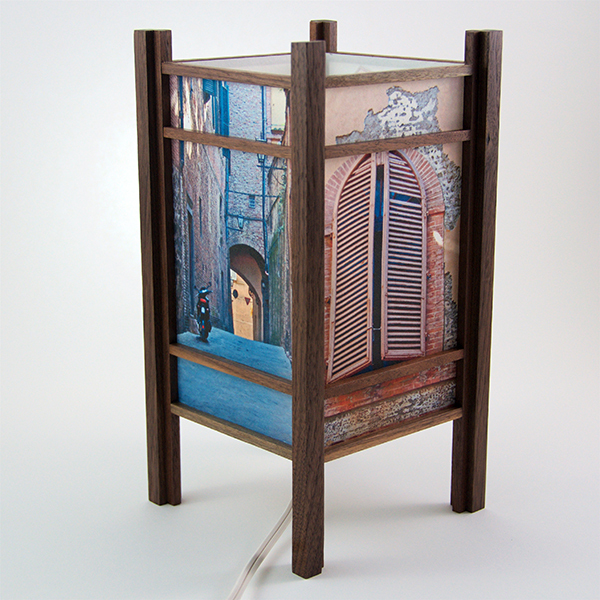 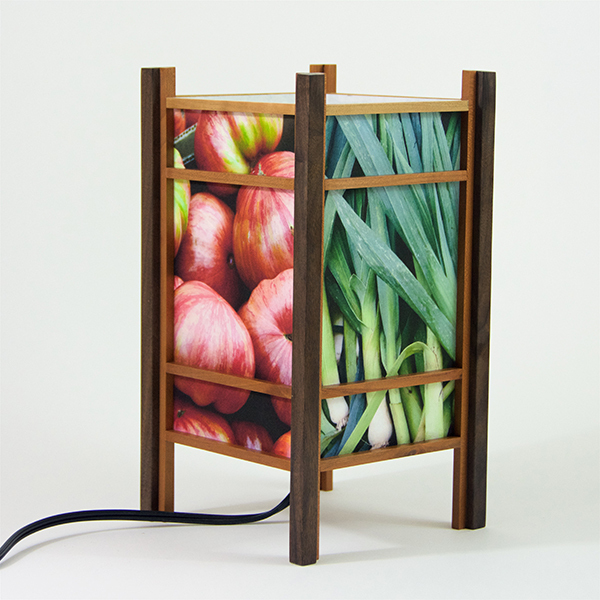 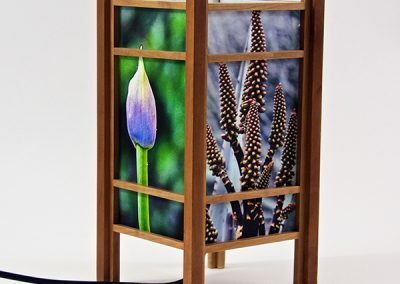 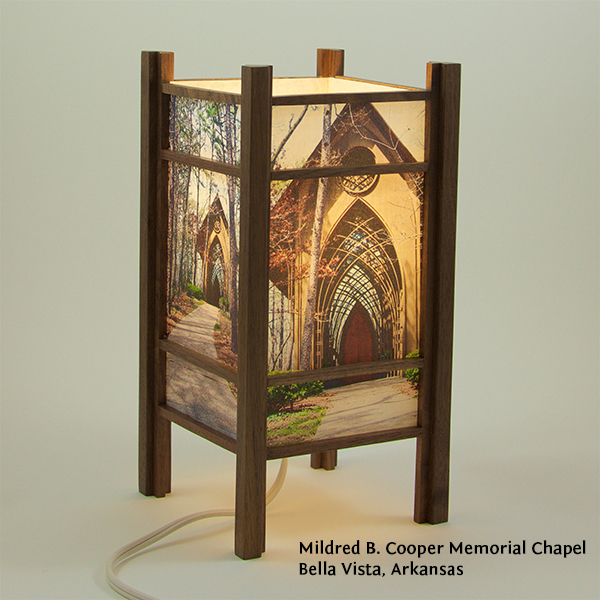 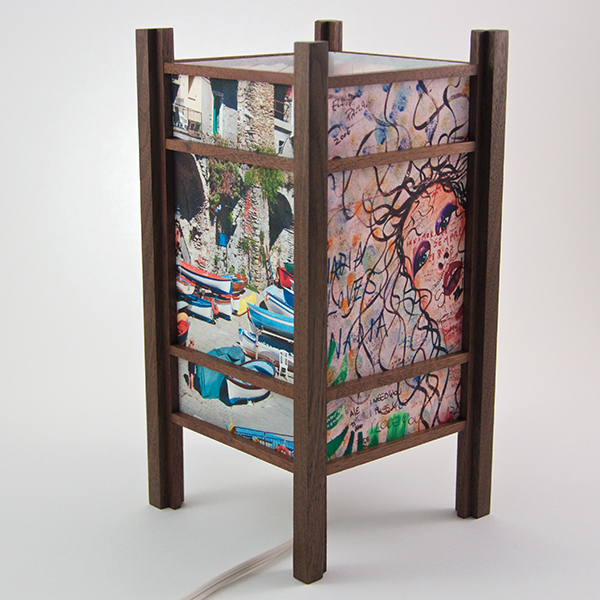 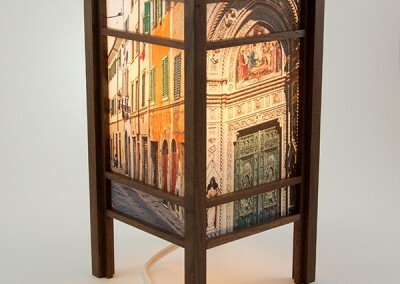 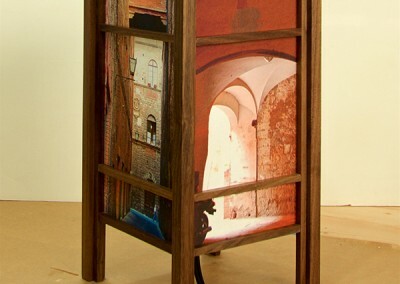 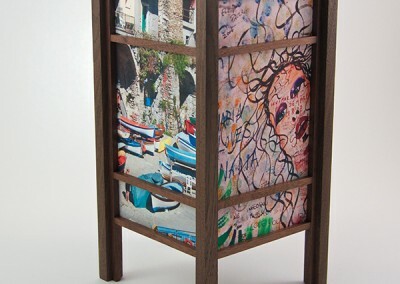 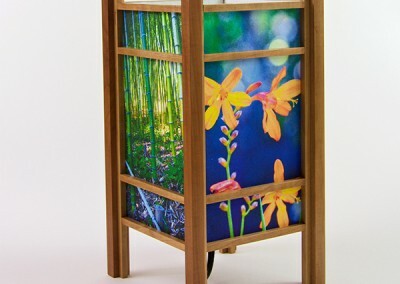 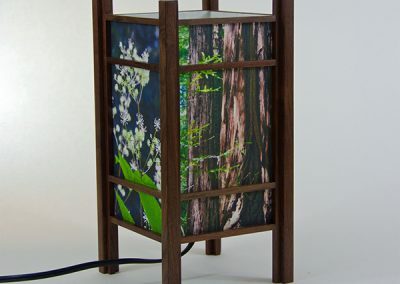 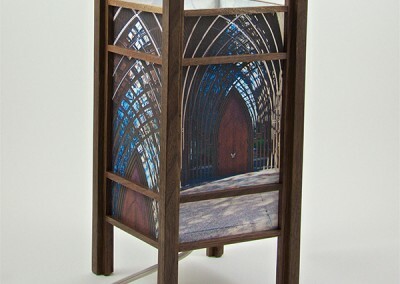 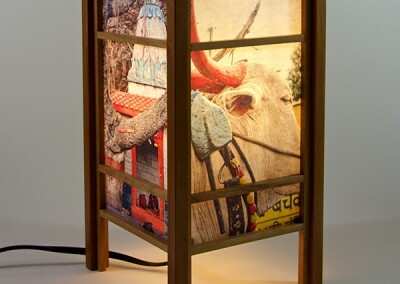 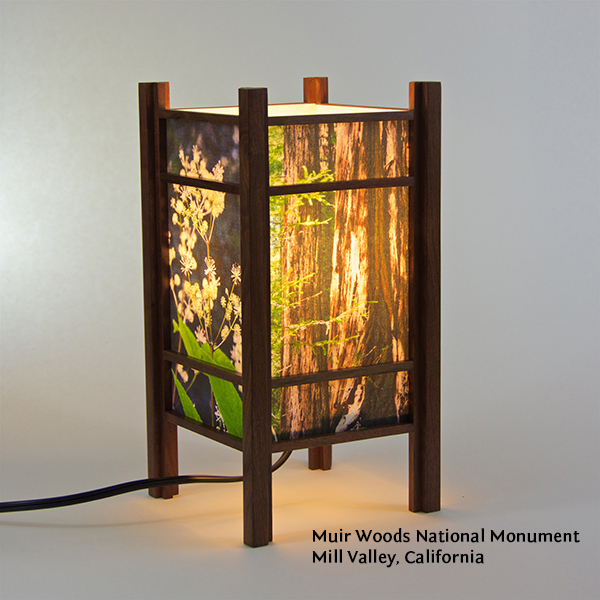 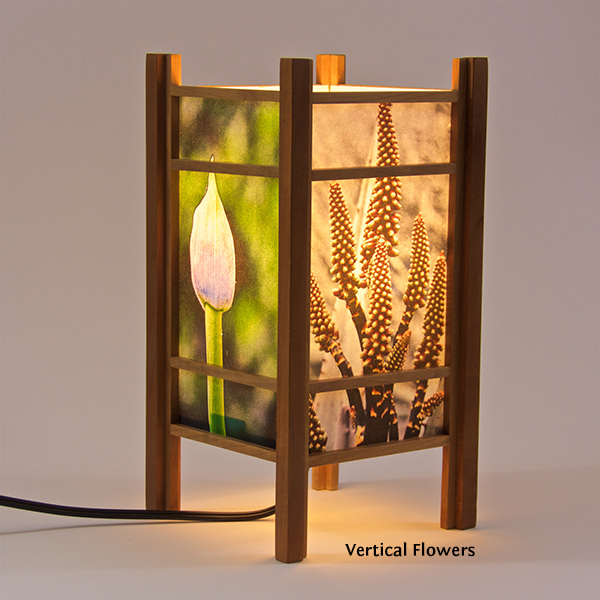 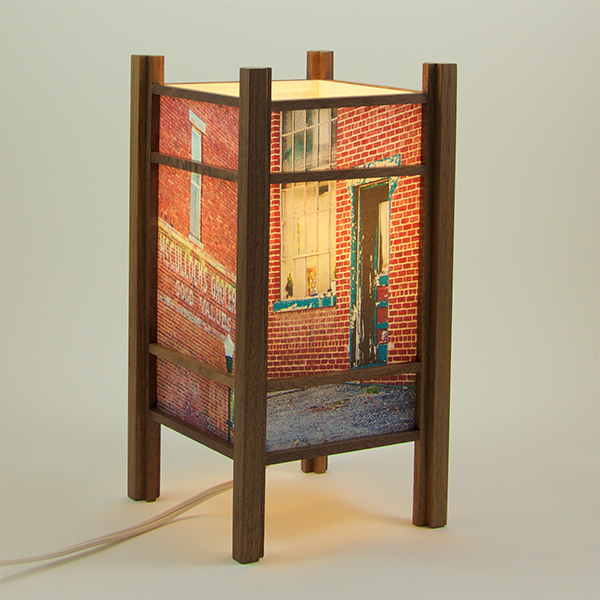 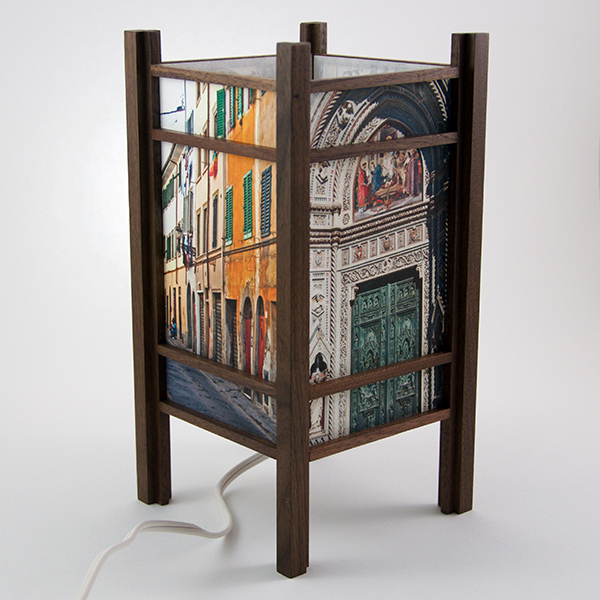 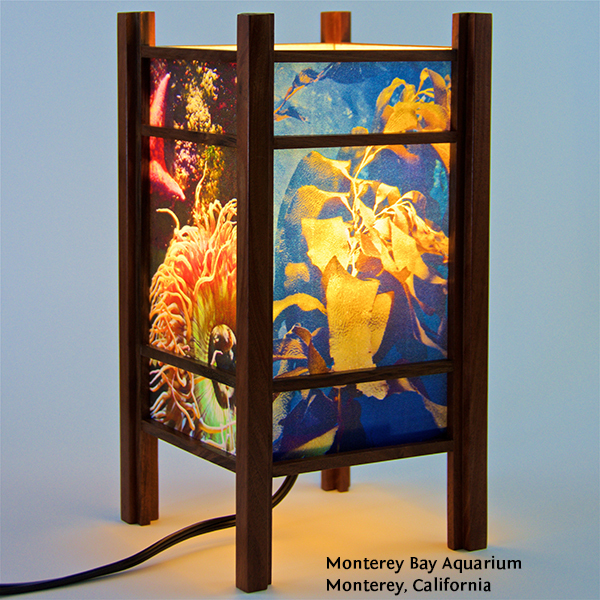 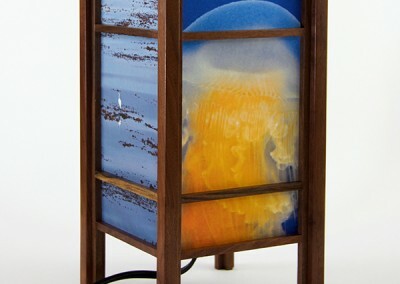 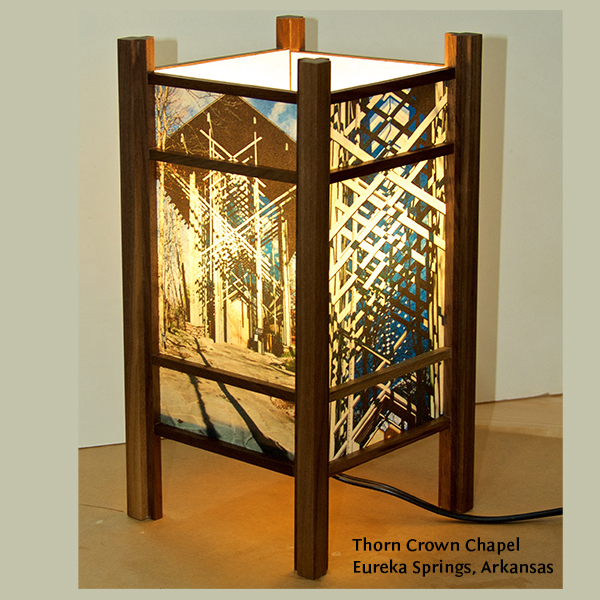 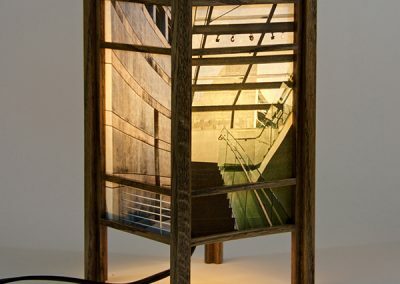 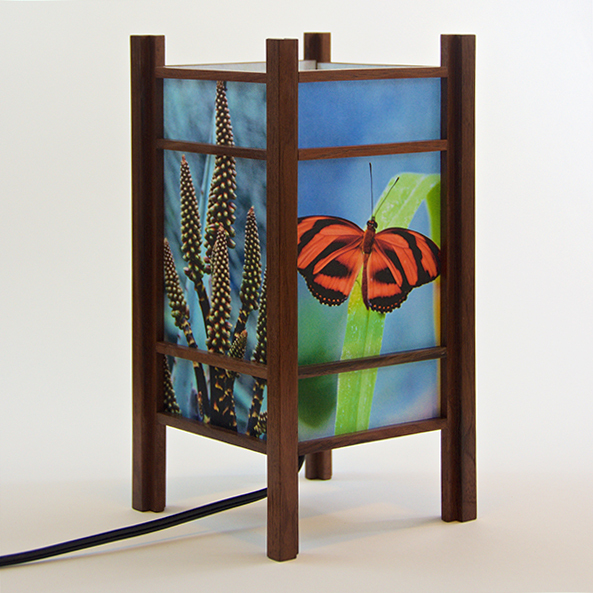 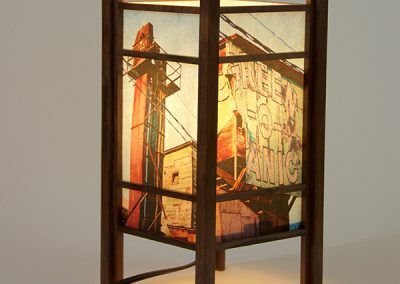 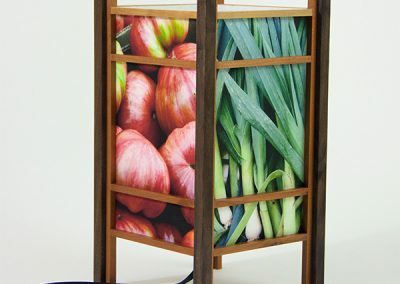 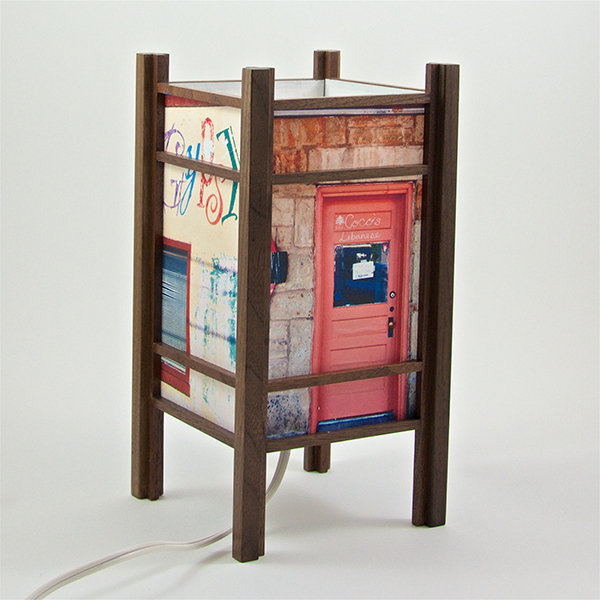 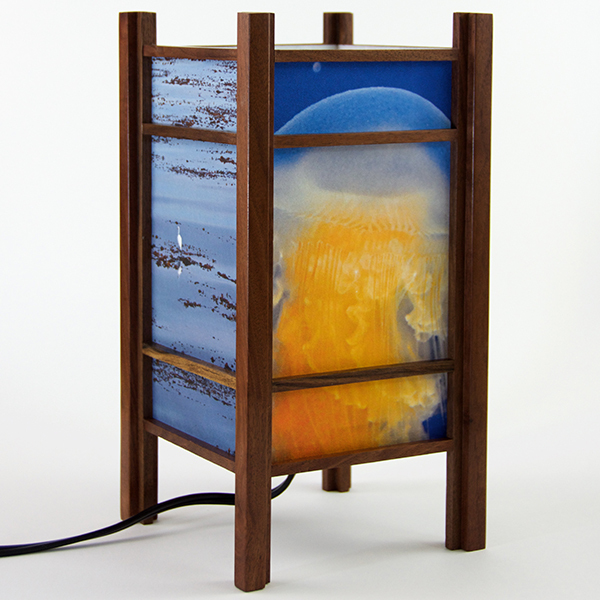 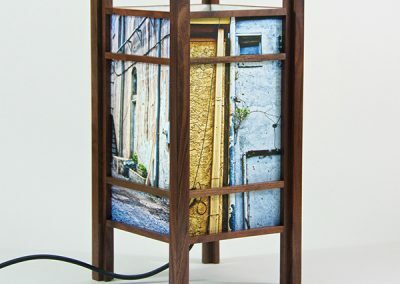 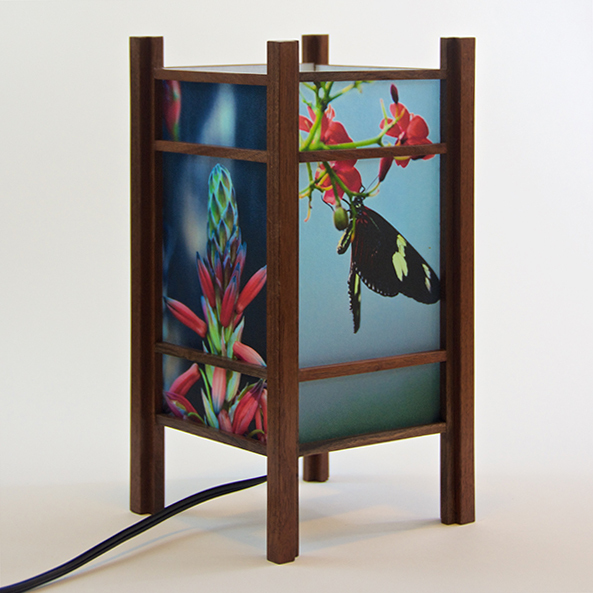 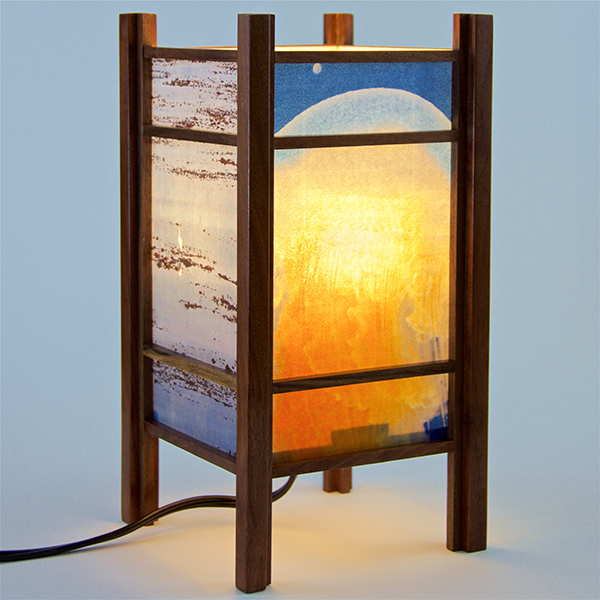 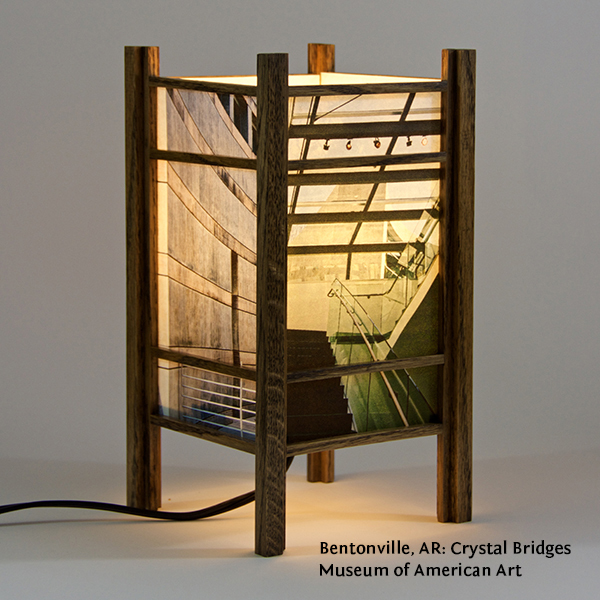 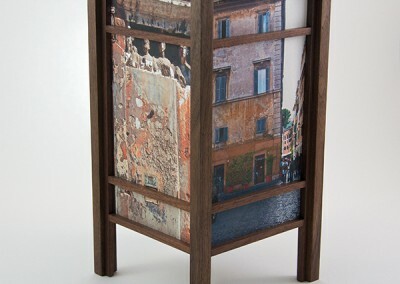 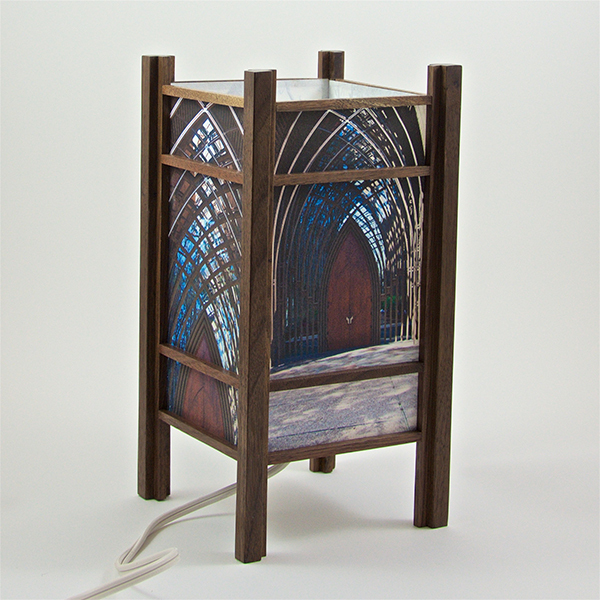 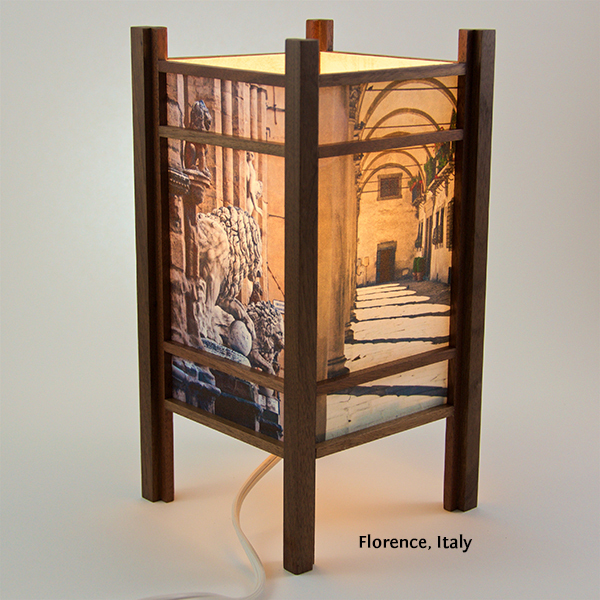 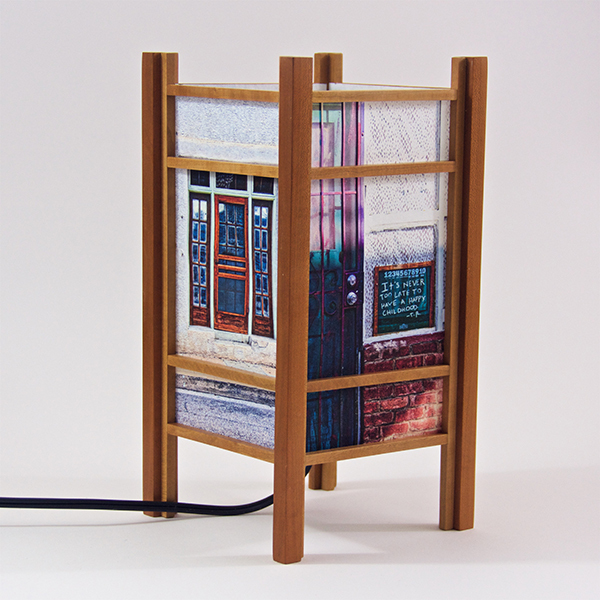 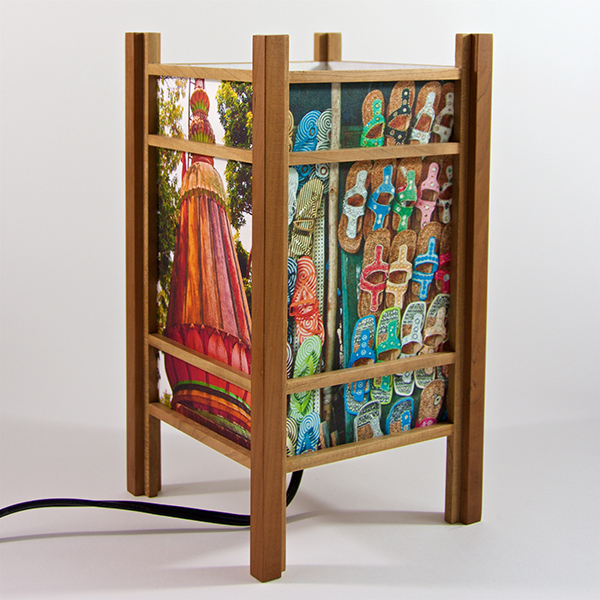 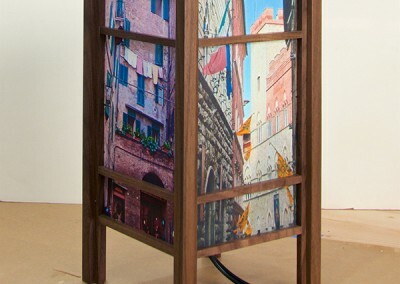 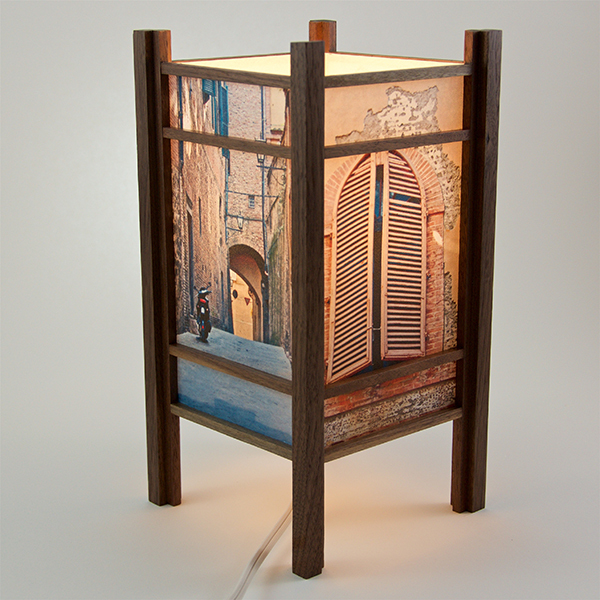 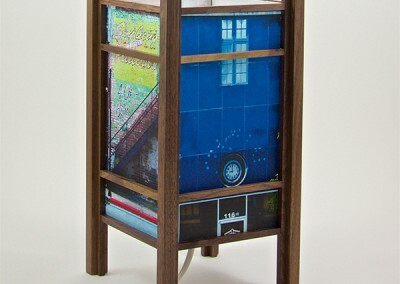 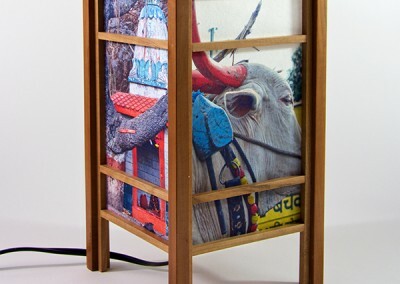 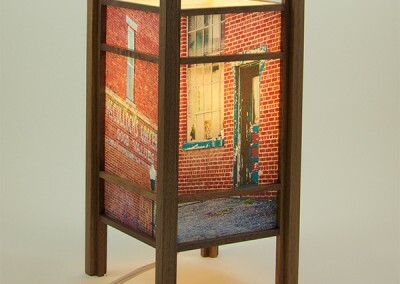 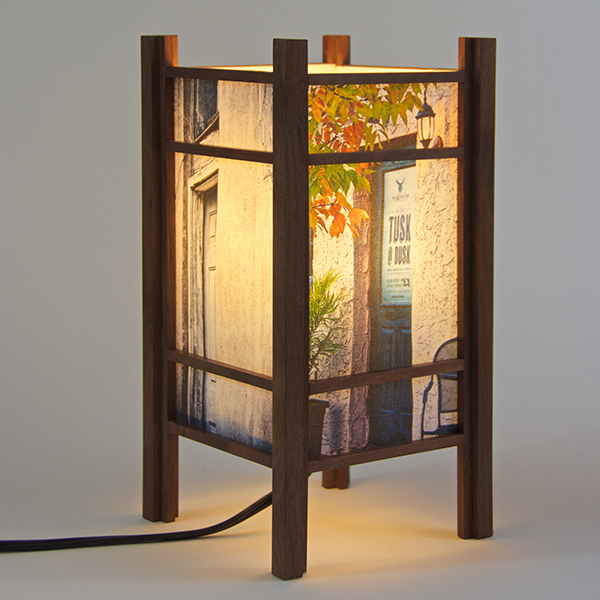 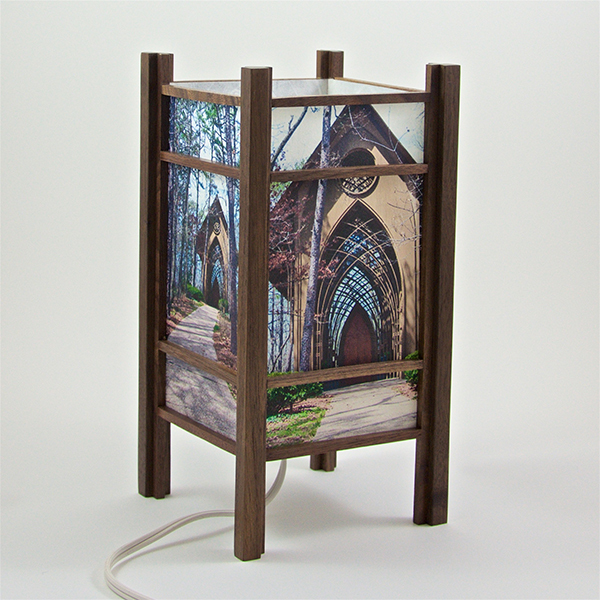 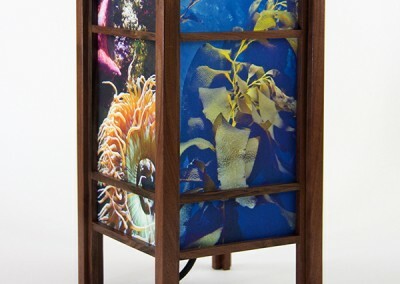 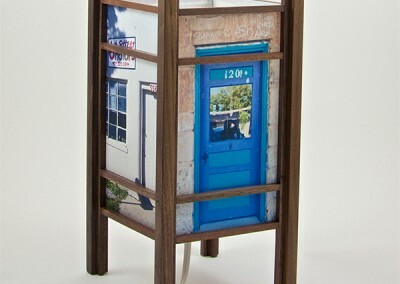 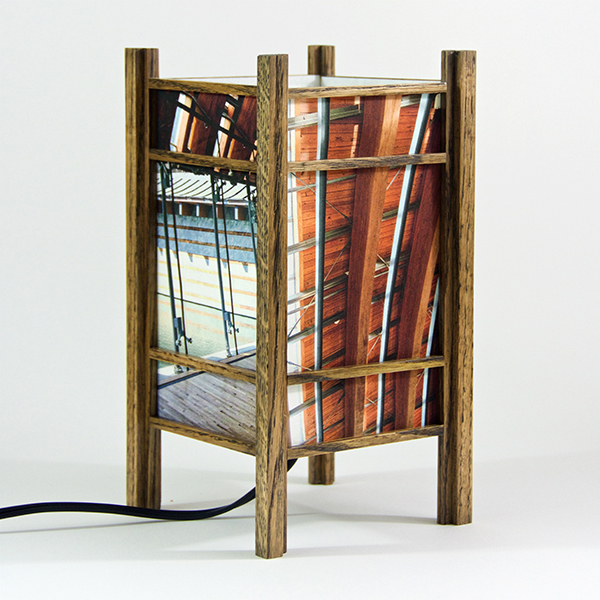 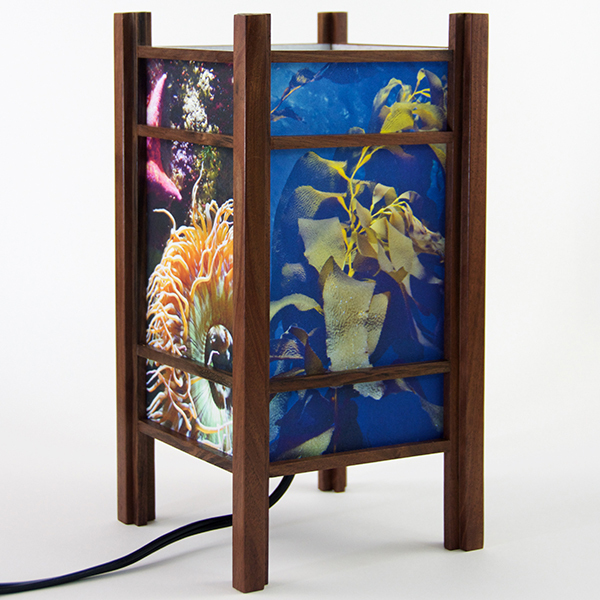 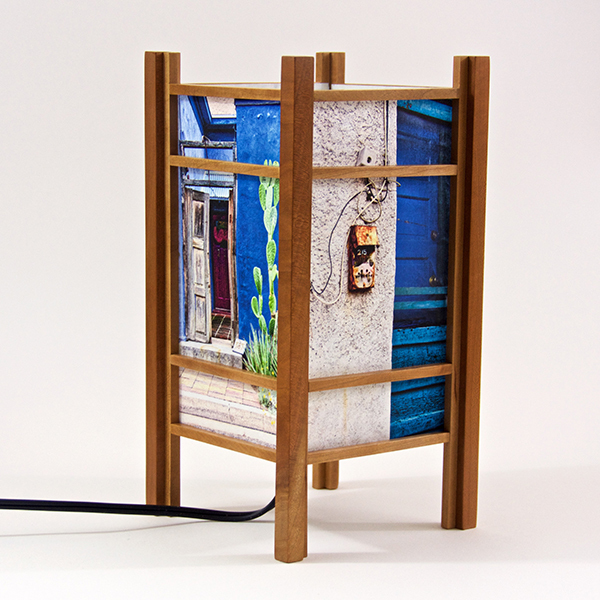 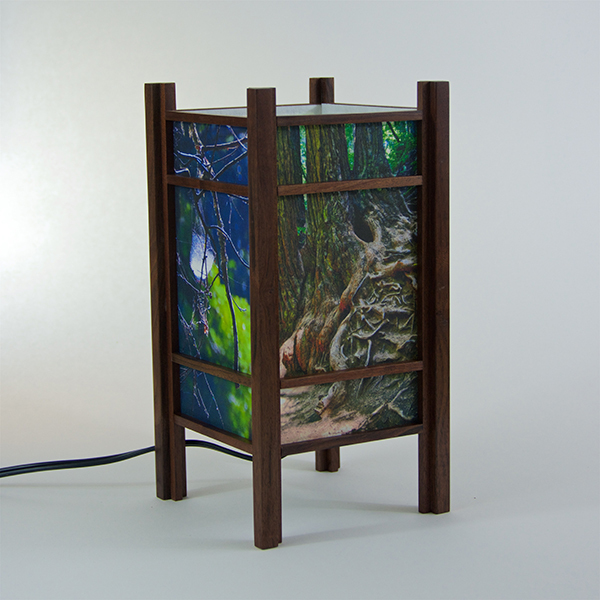 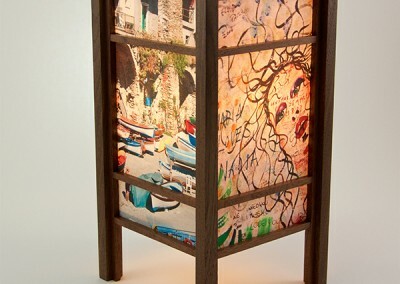 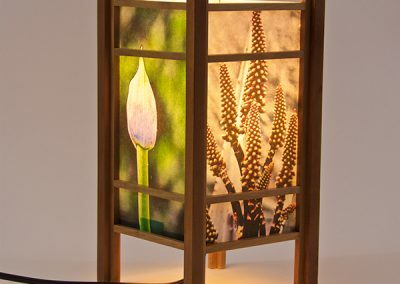 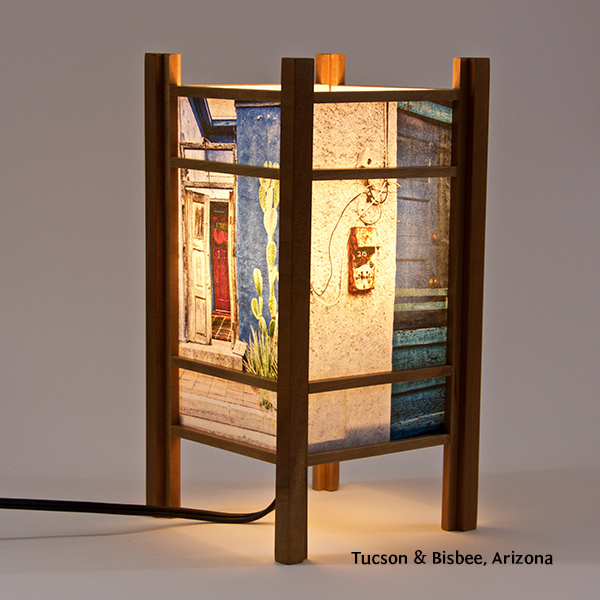 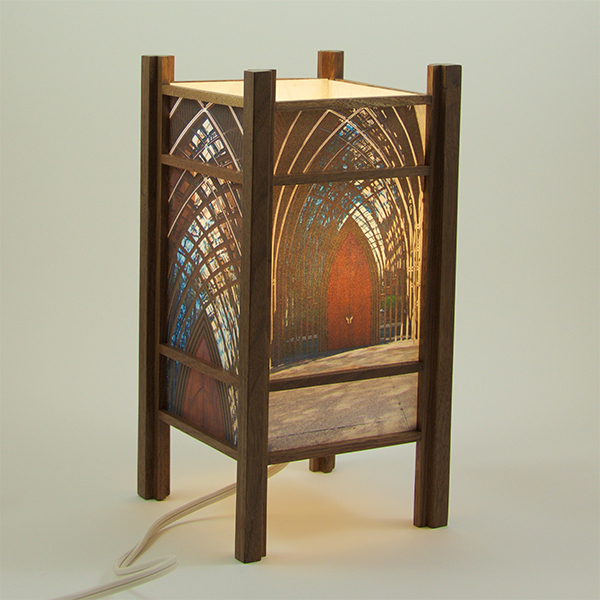 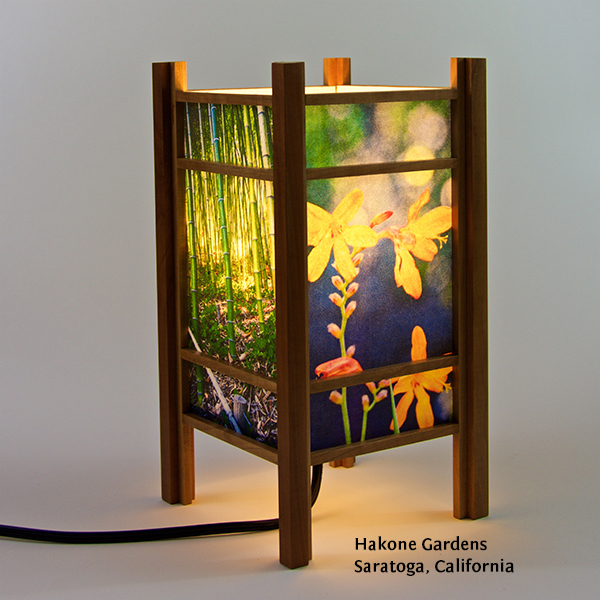 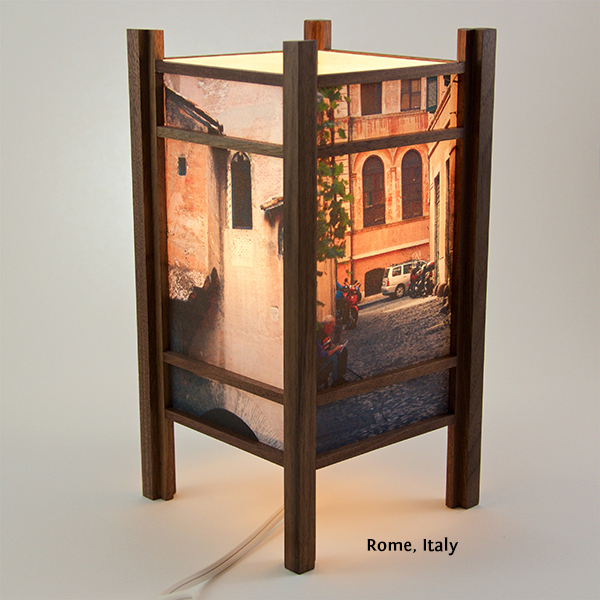 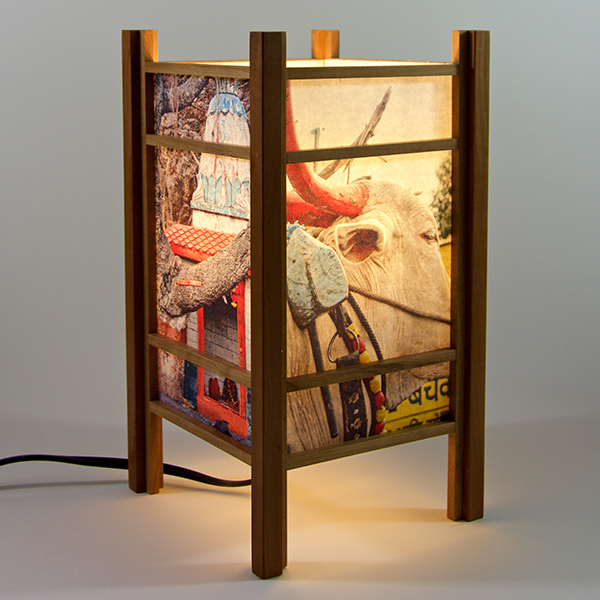 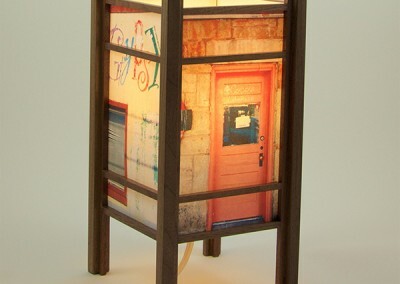 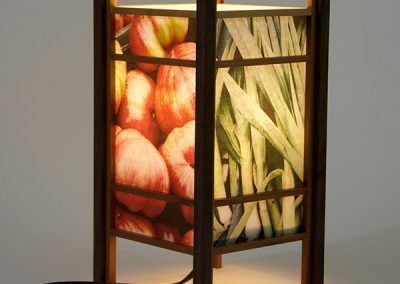 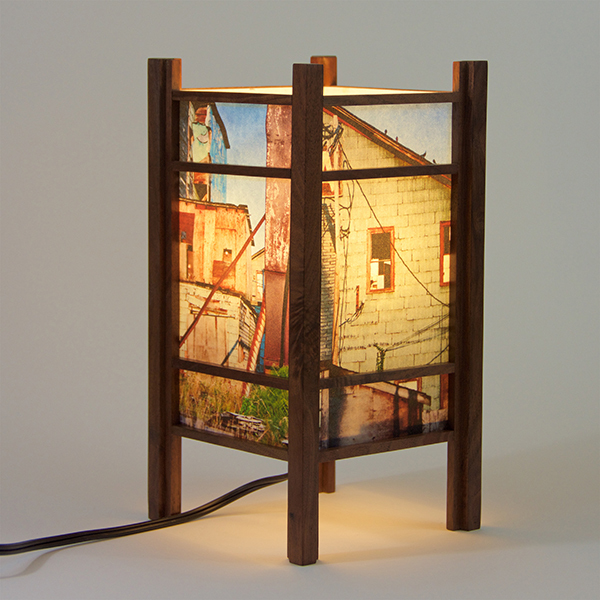 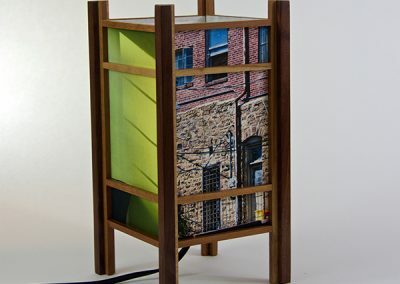 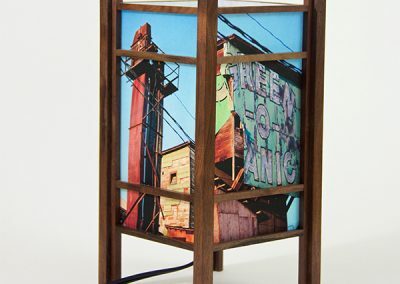 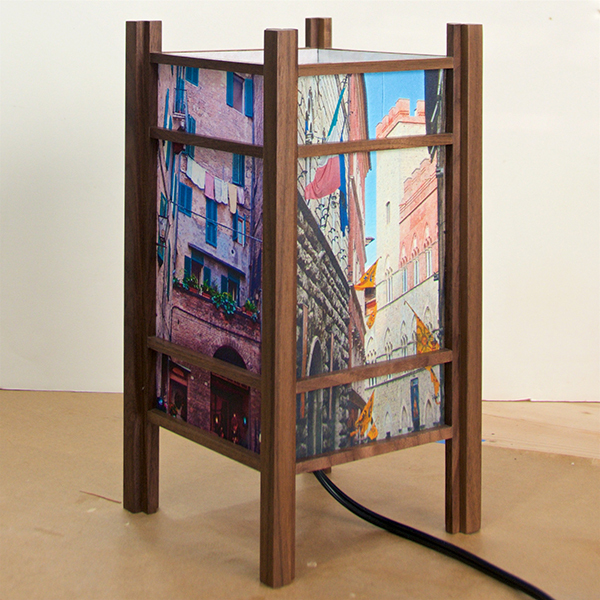 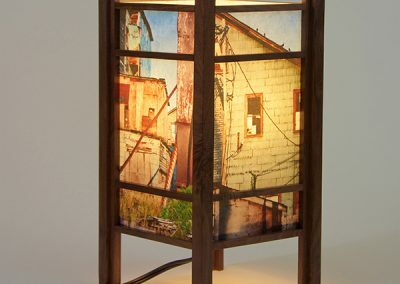 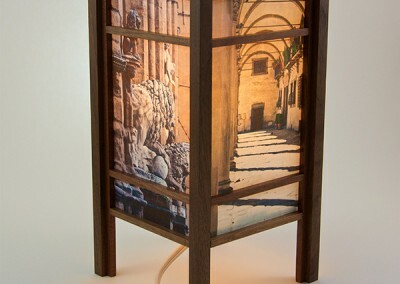 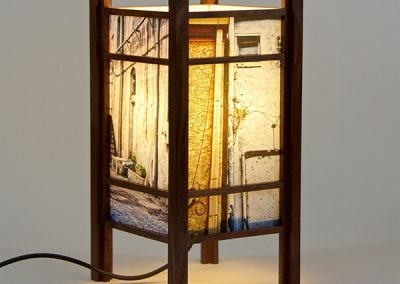 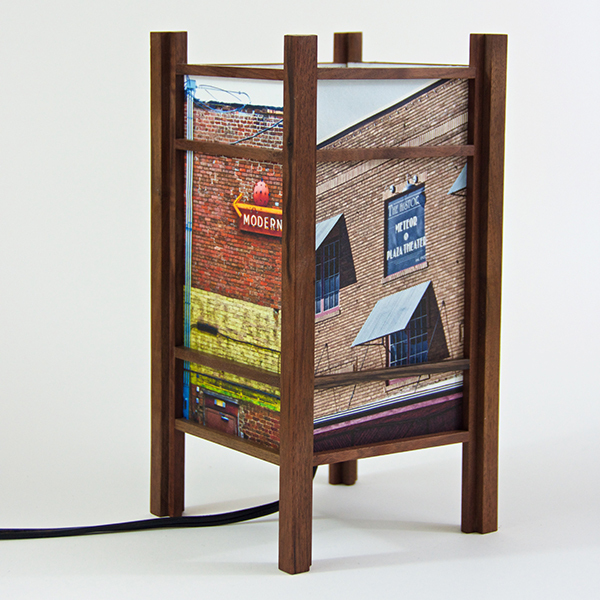 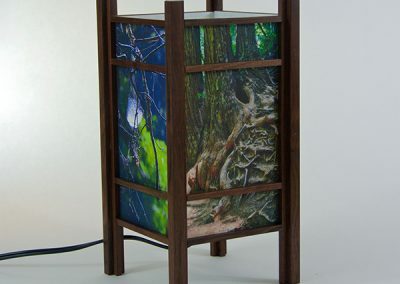 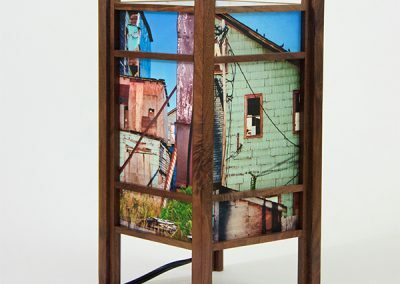 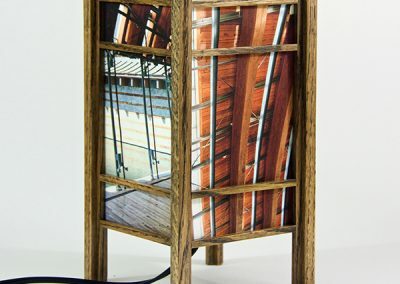 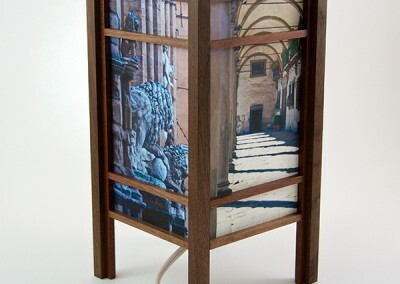 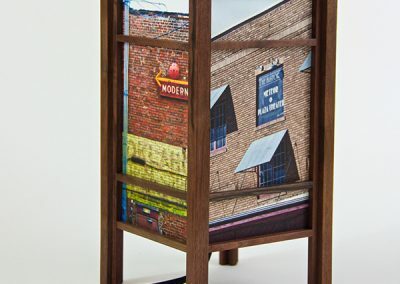 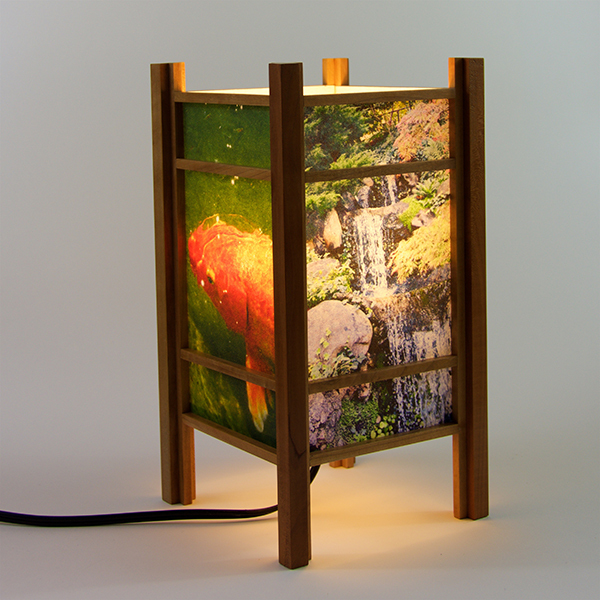 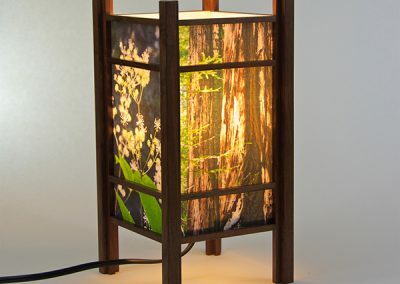 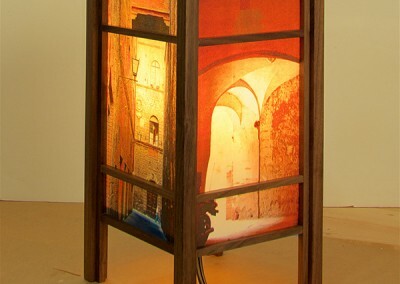 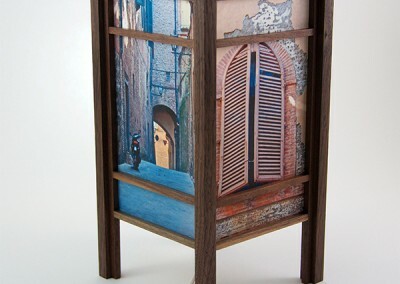 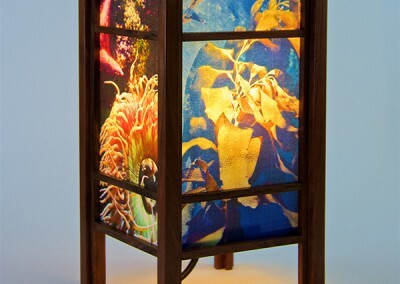 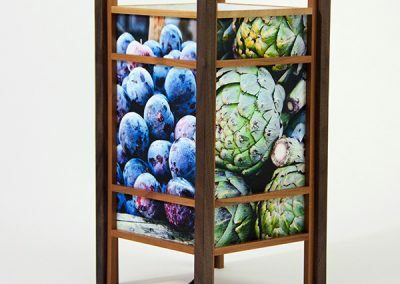 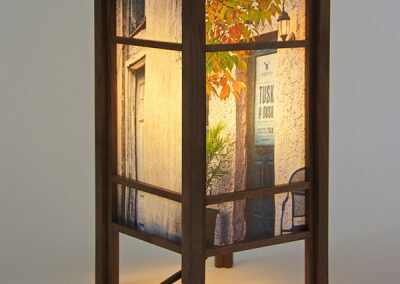 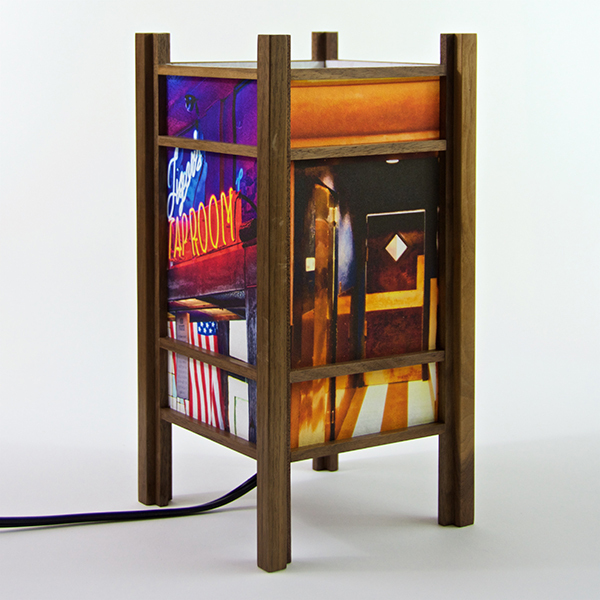 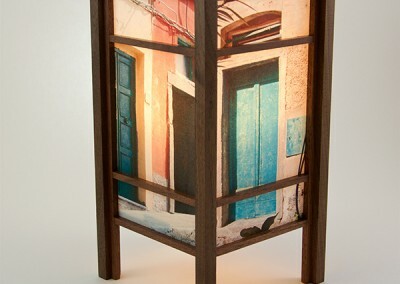 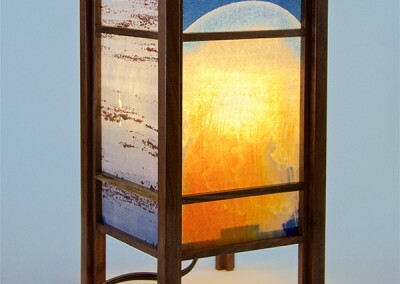 Asian inspired lamps are constructed, by hand, using local cherry or walnut with a poly finish and Japanese paper. 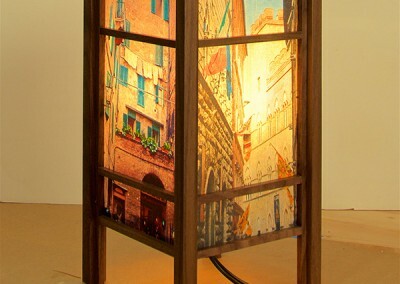 All lamps retail for $185, plus shipping. 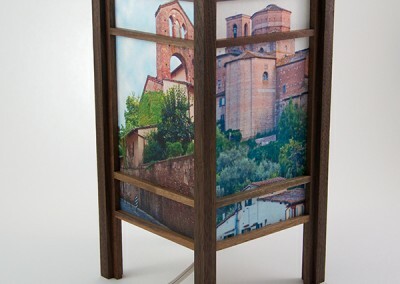 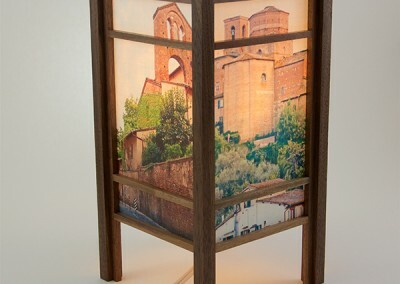 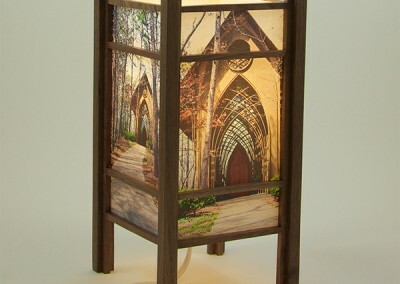 Travel Lanterns are limited editions of 10. 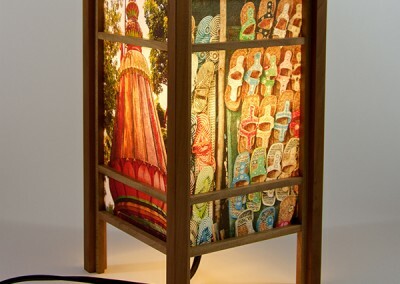 Hand-painted lamps are unique and not repeated. 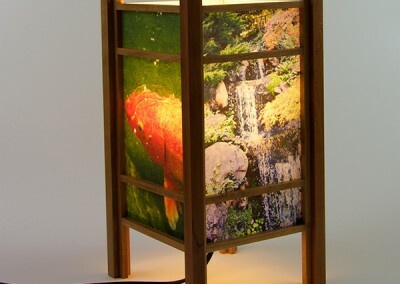 Original photos printed on a Japanese paper called “Iyo Glazed” using archival ink. 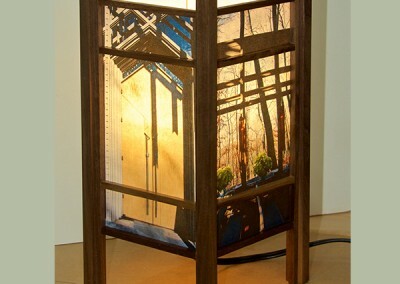 The base is walnut or cherry. 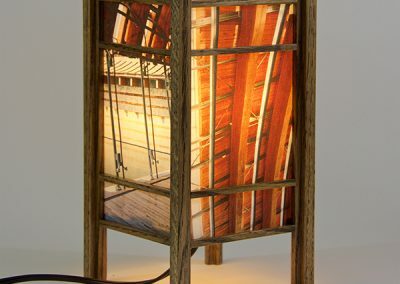 Lighting is a 25 watt equivalent LED bulb rated for 50,000 hours. 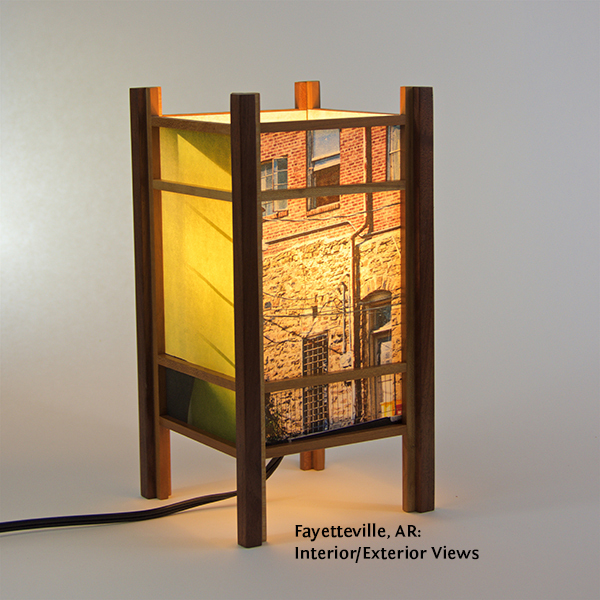 NOTE: All lamps show 4 views, i.e., an on/off view of 2 sides and another on/off view of the opposite 2 sides.